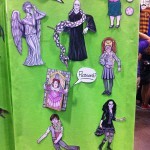 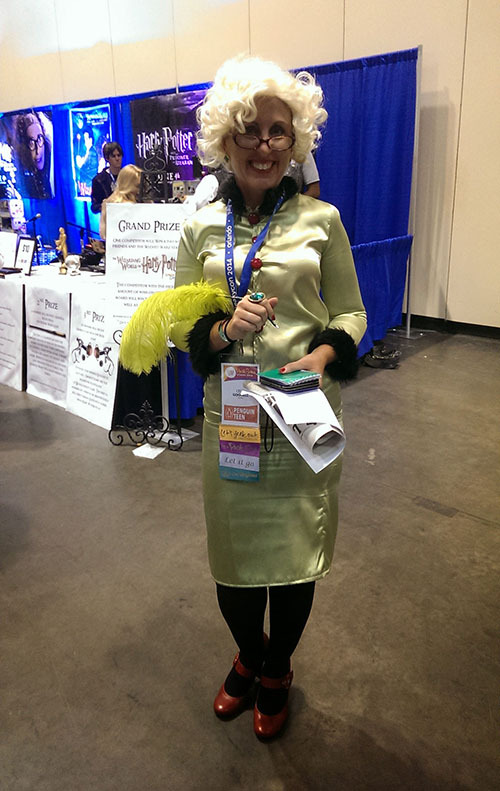 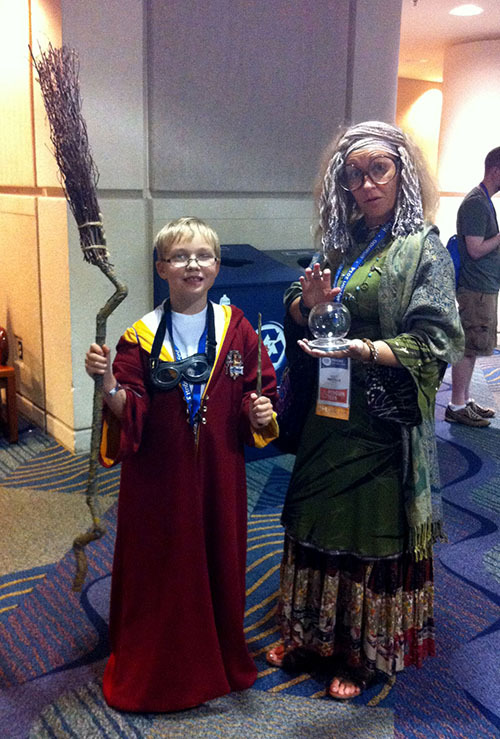 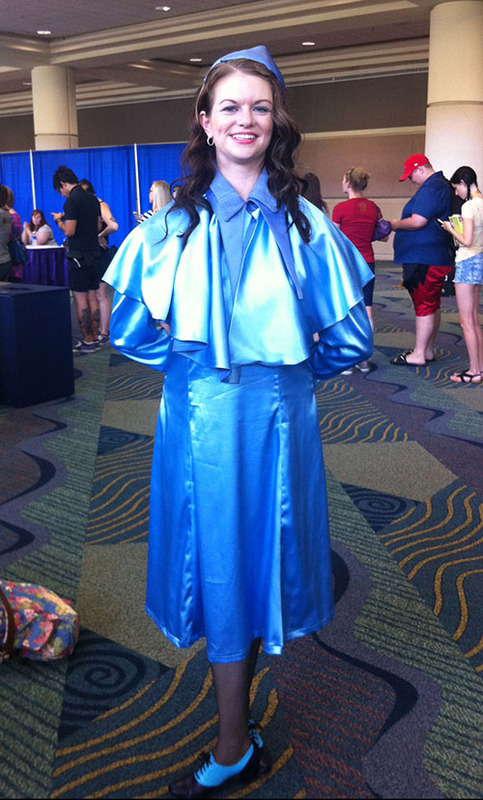 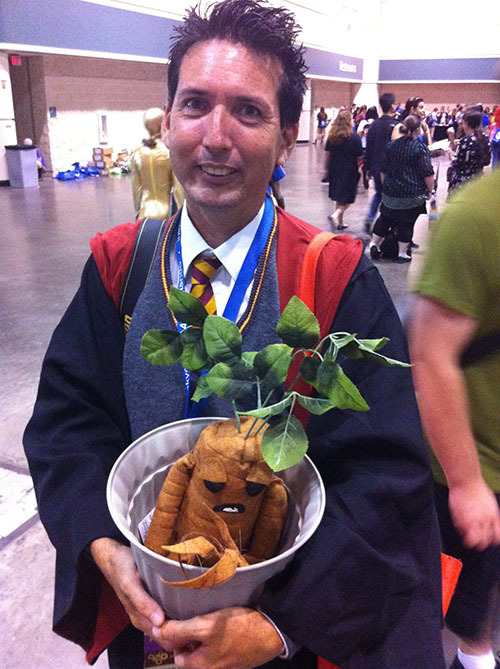 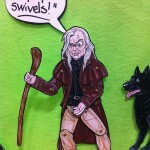 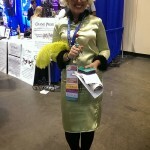 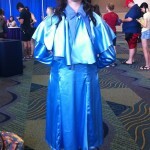 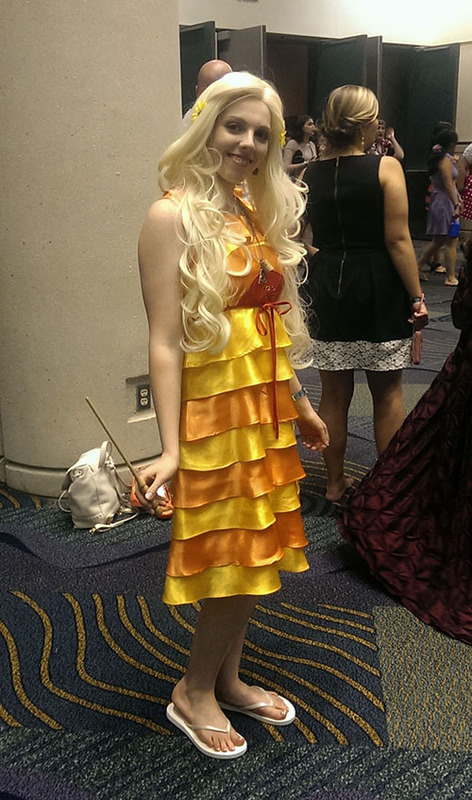 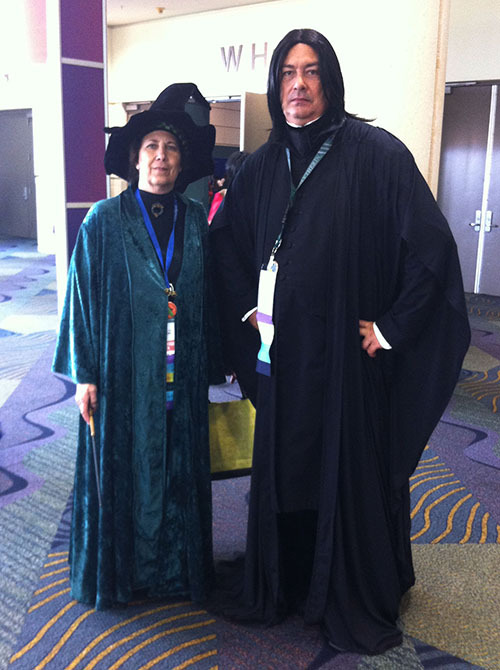 Yesterday, we introduced you to Draco, Dobby, and multiple Bellatrix Lestranges — just some of the costumed characters we encountered at LeakyCon 2014. 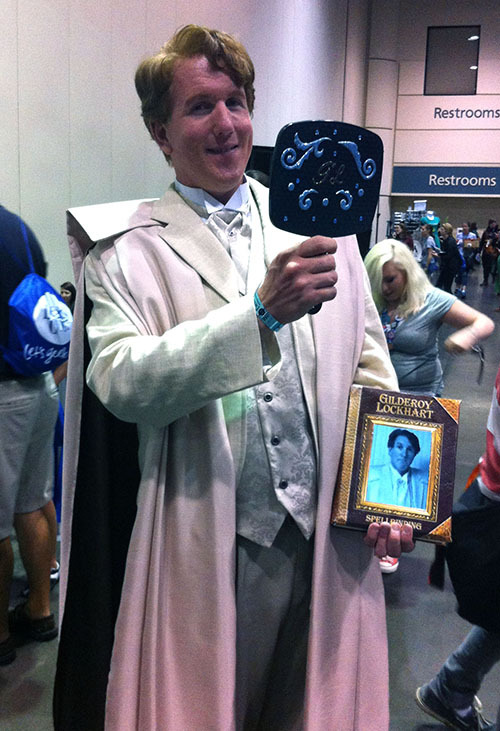 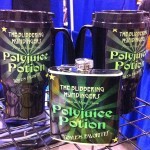 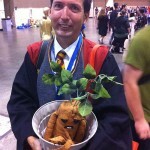 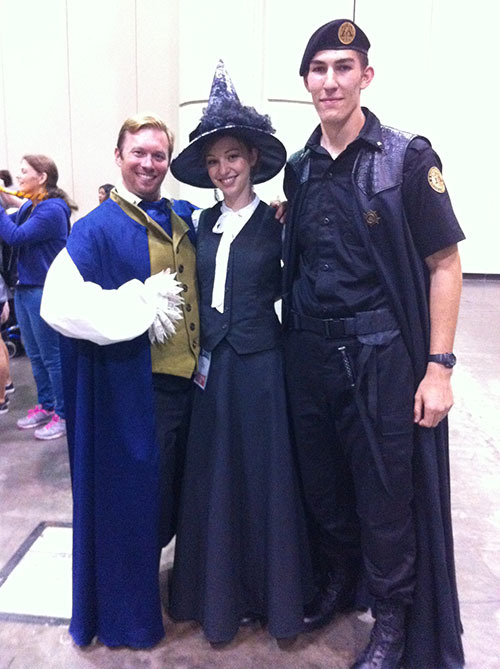 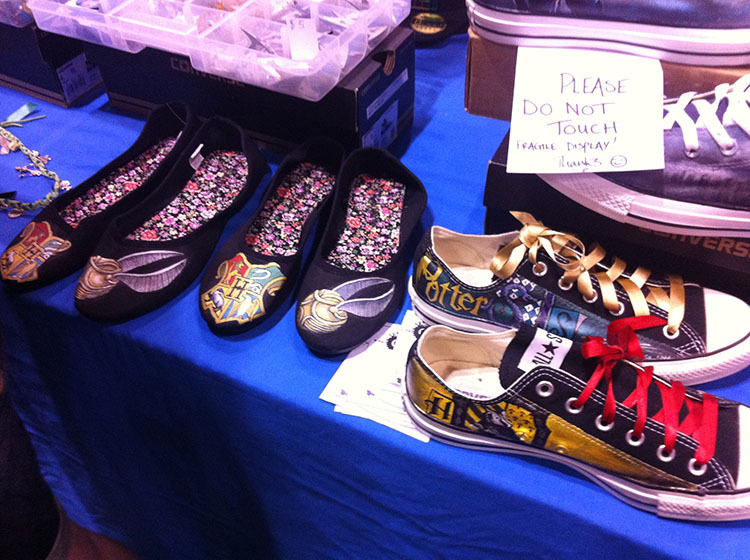 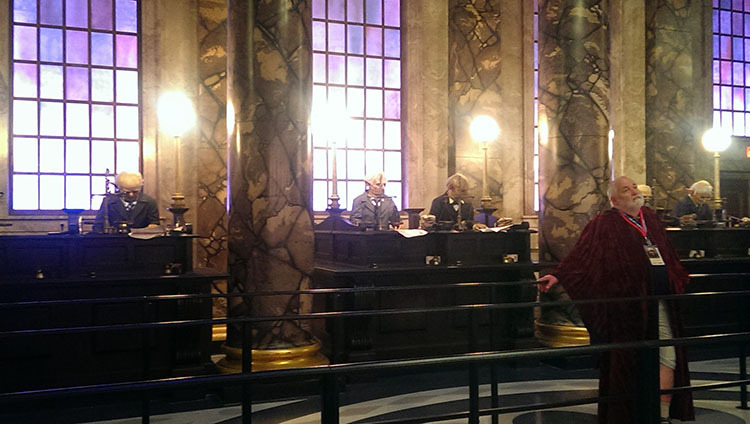 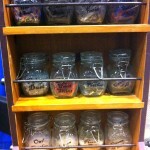 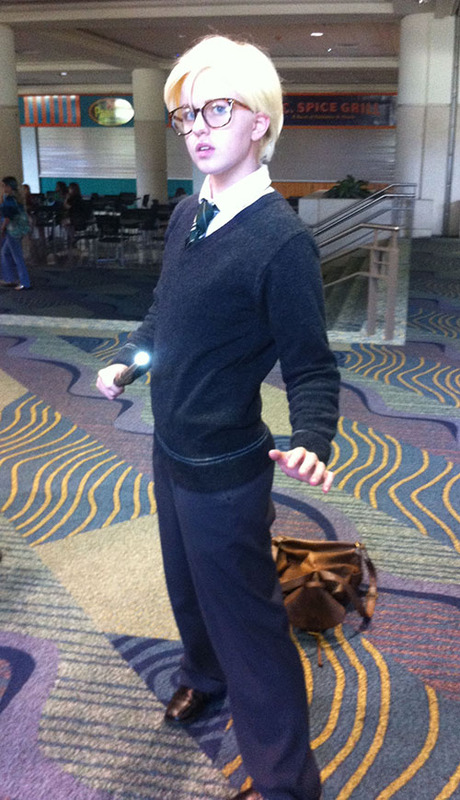 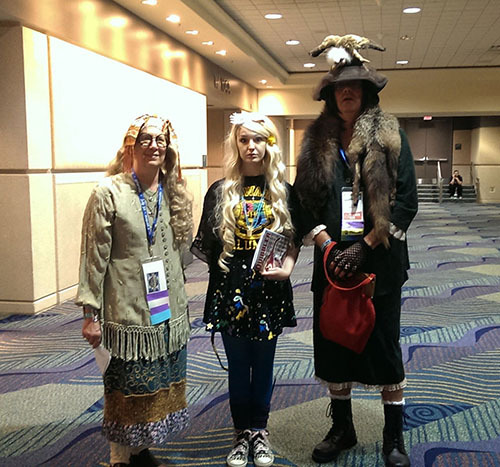 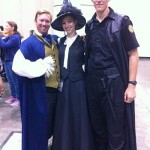 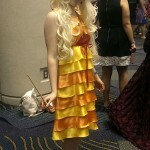 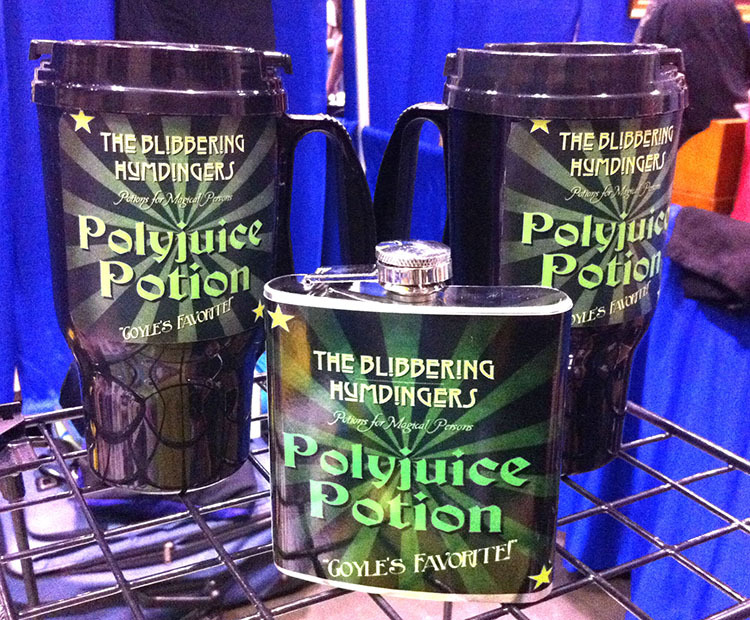 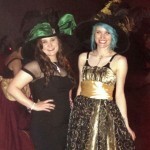 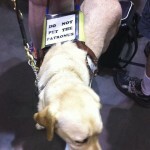 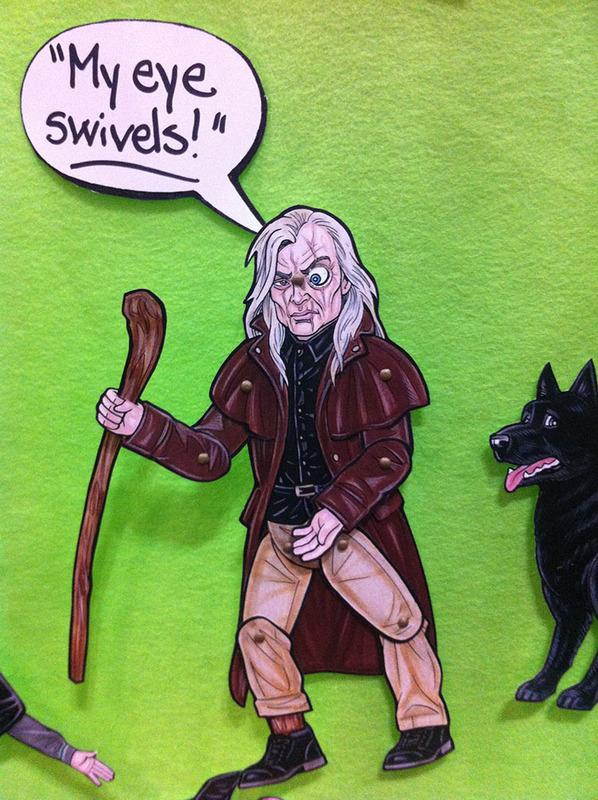 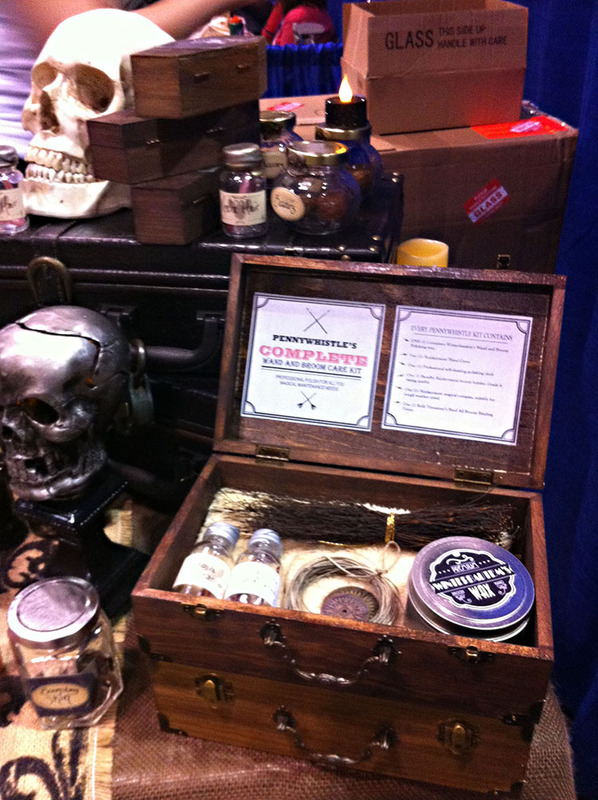 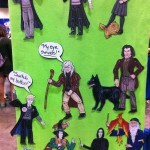 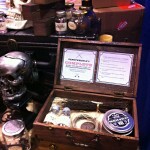 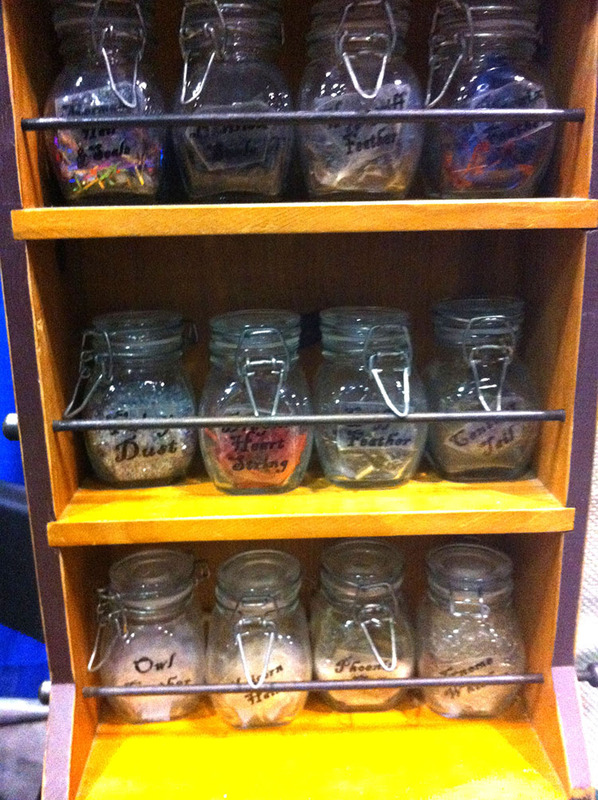 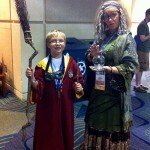 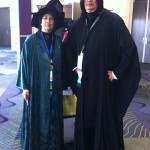 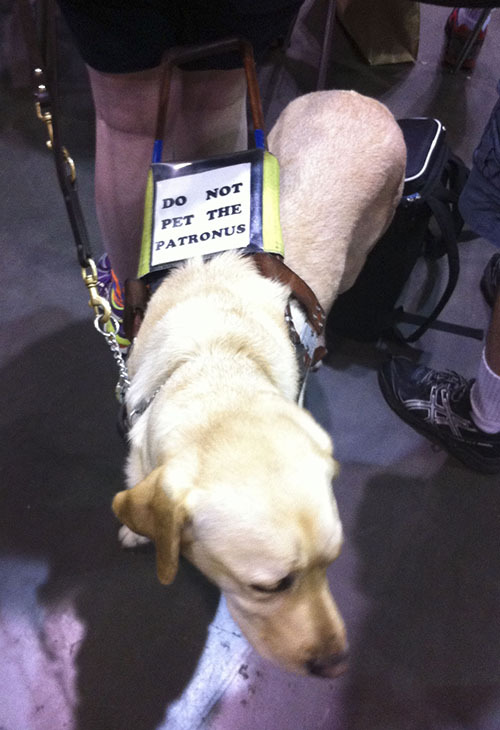 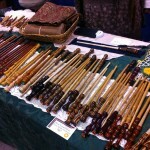 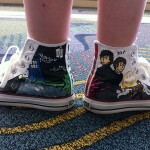 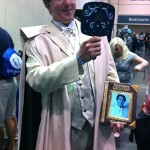 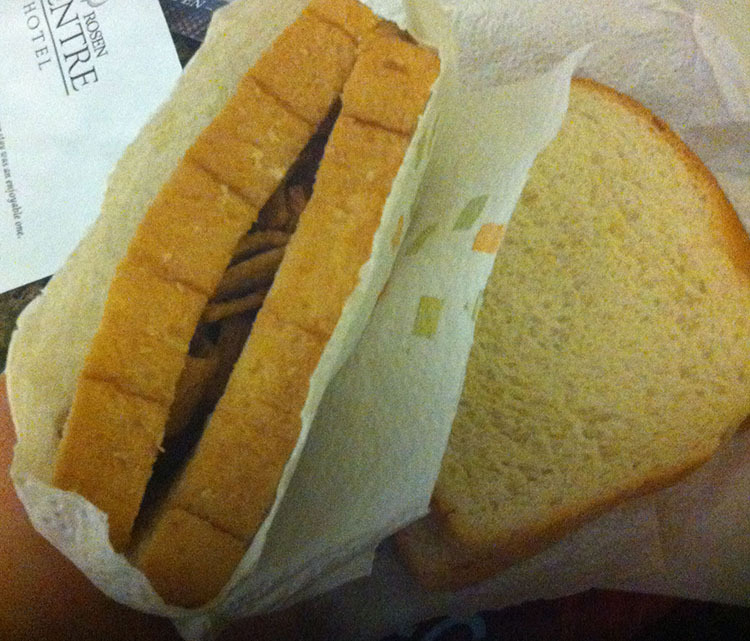 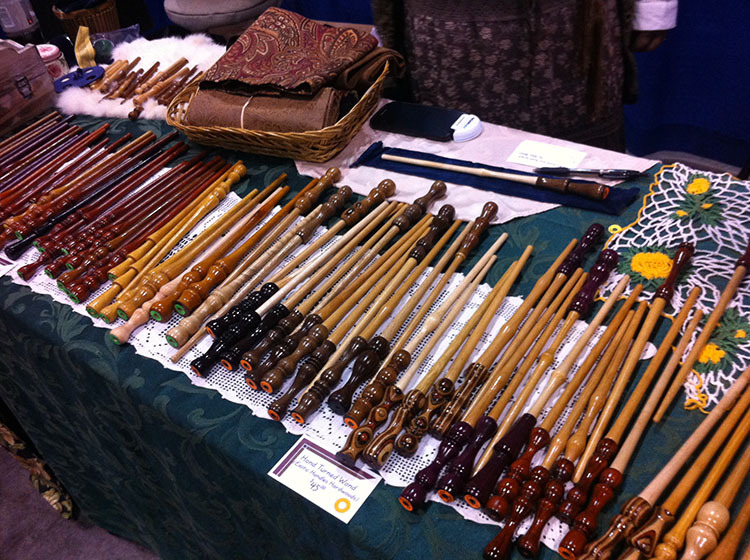 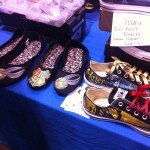 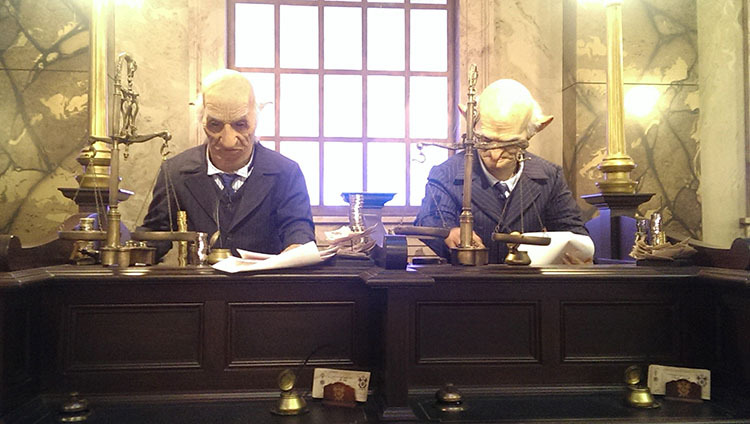 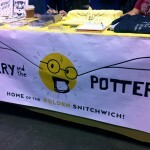 Well, today we have even more pics from our time at this year’s Harry Potter fan convention. 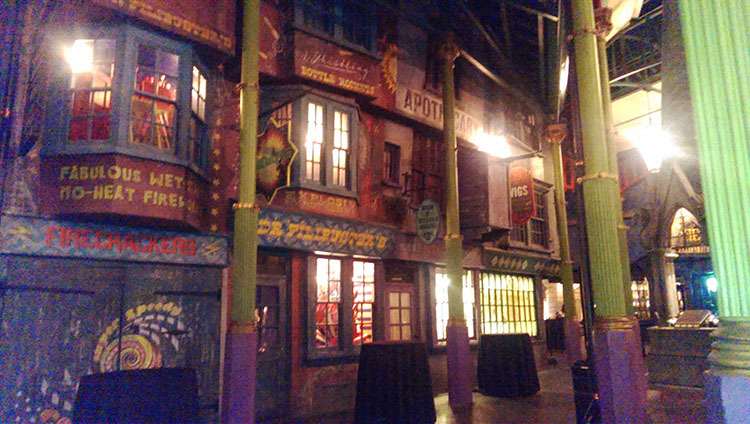 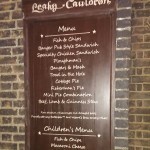 And if you weren’t jealous of us based on yesterday’s post, well, we are delighted sorry to taunt you with show you this gallery from the highlight of our trip… Diagon Alley! 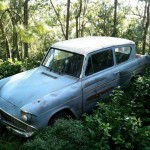 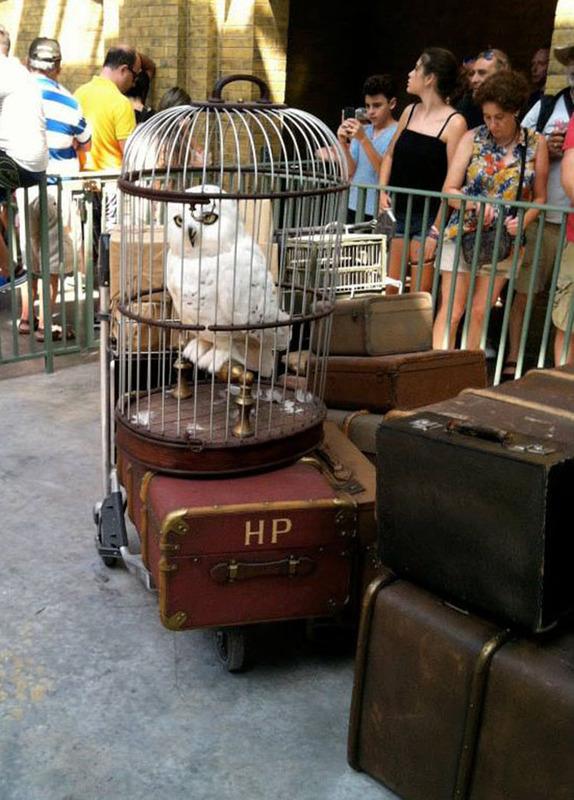 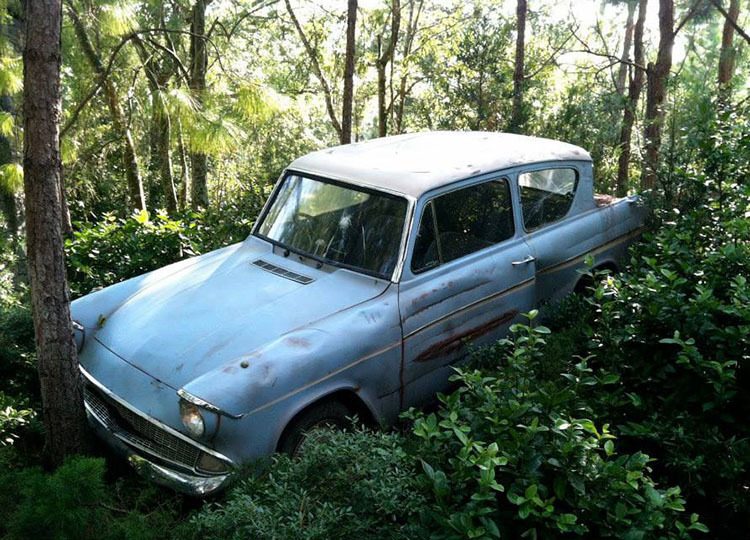 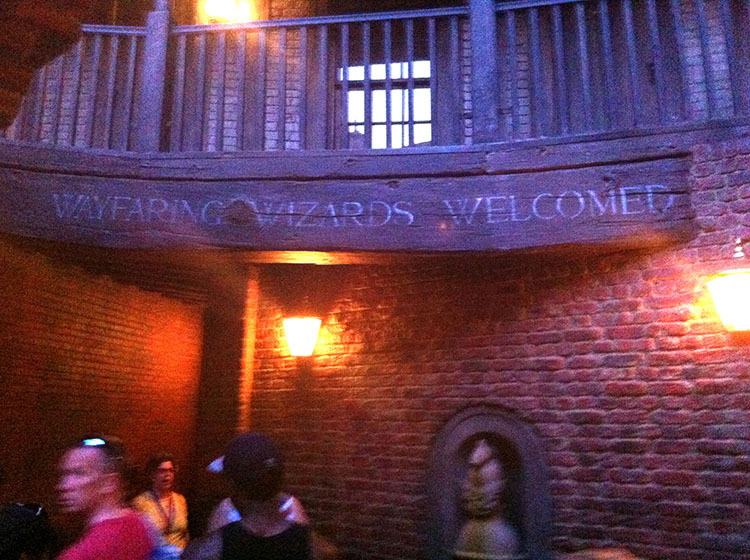 That’s right, we got special admission to the new area of Universal’s Wizarding World of Harry Potter theme park. 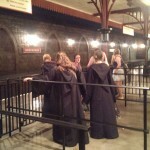 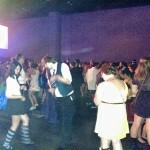 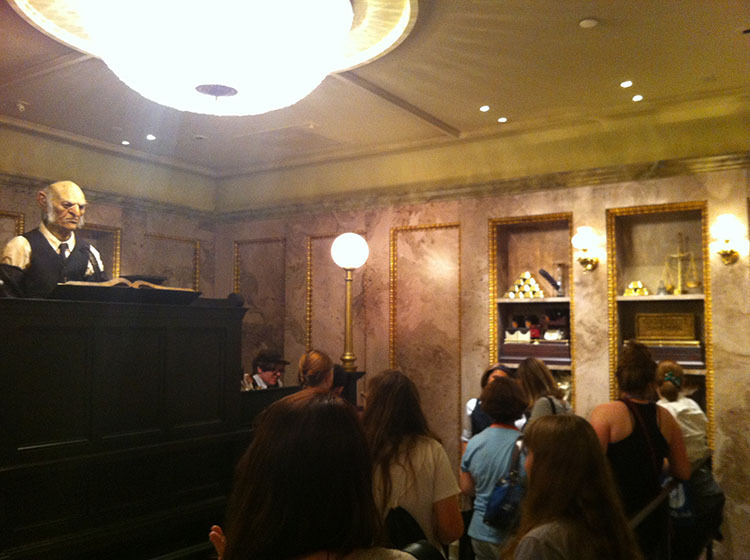 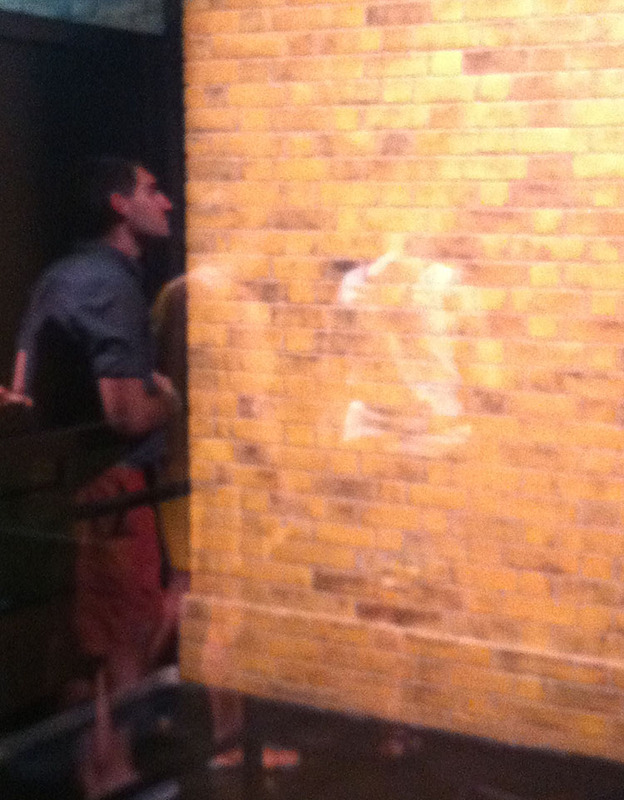 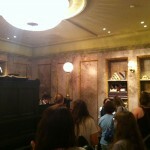 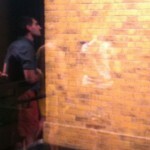 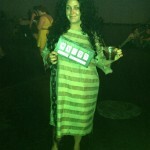 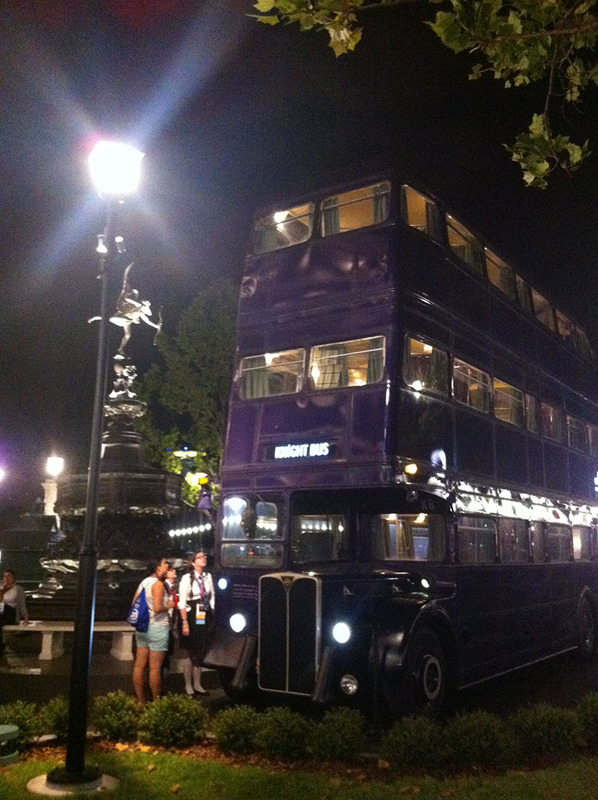 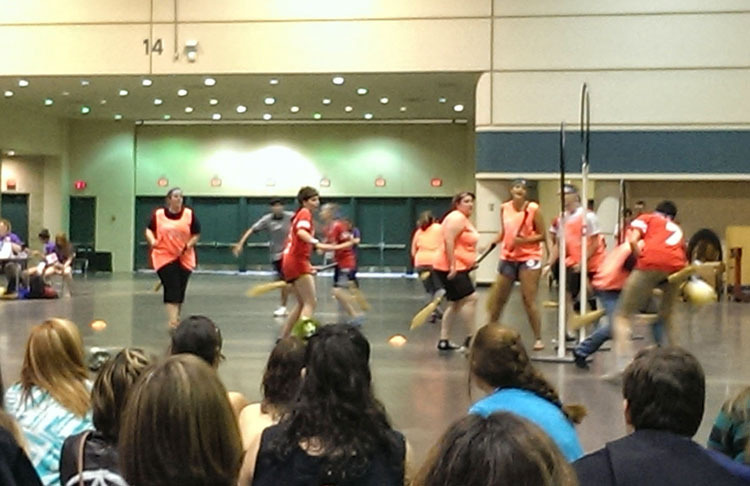 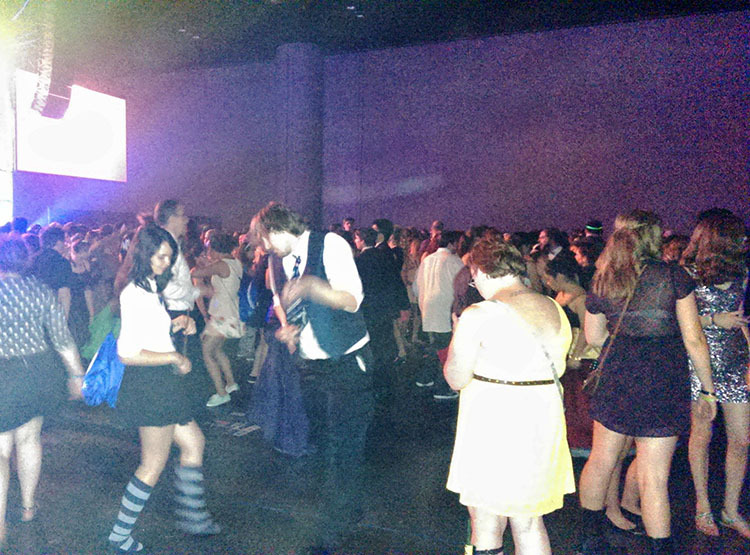 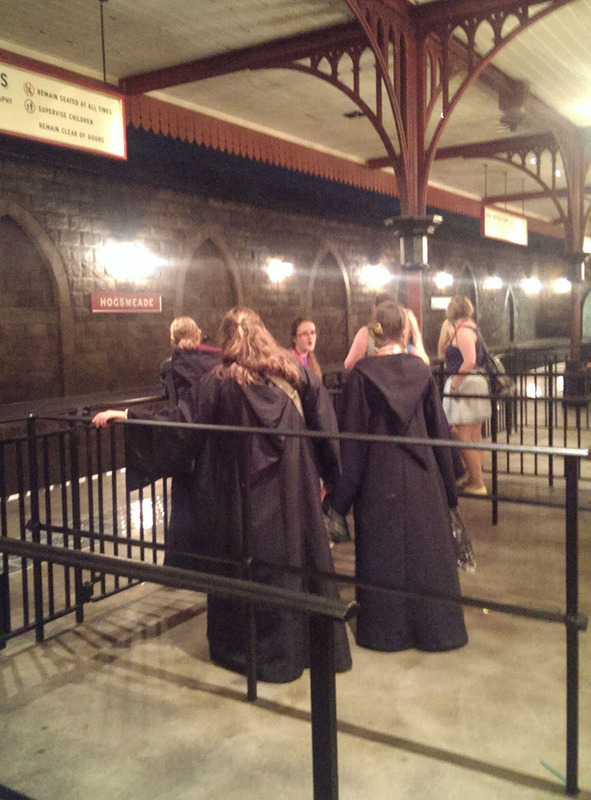 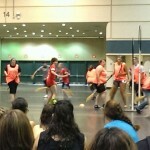 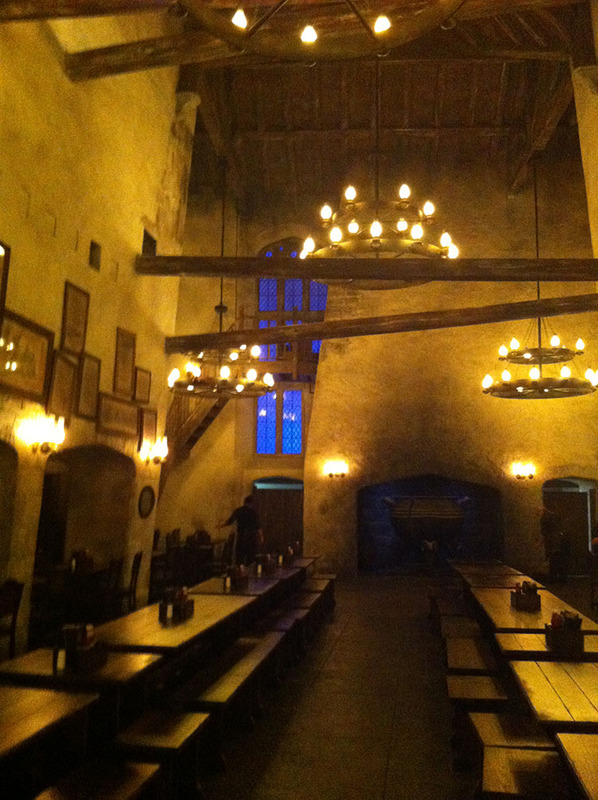 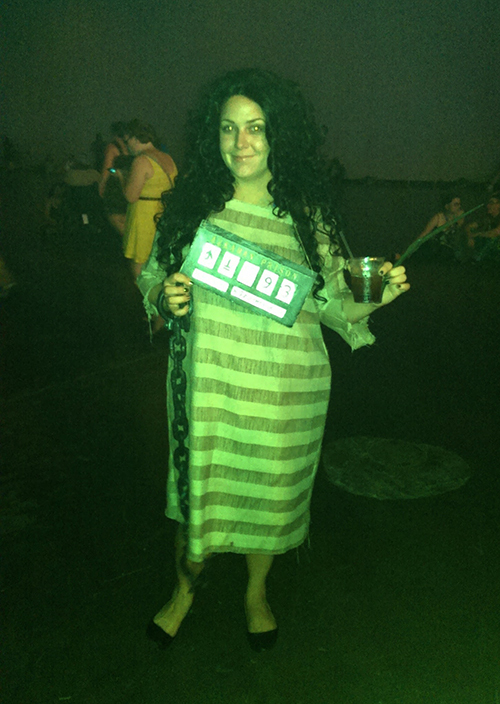 While all the Muggles were kicked out at 10:00 pm, LeakyCon attendees got to stay until 2:00 am! 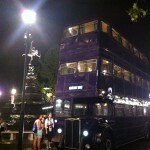 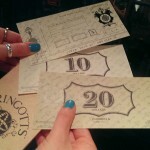 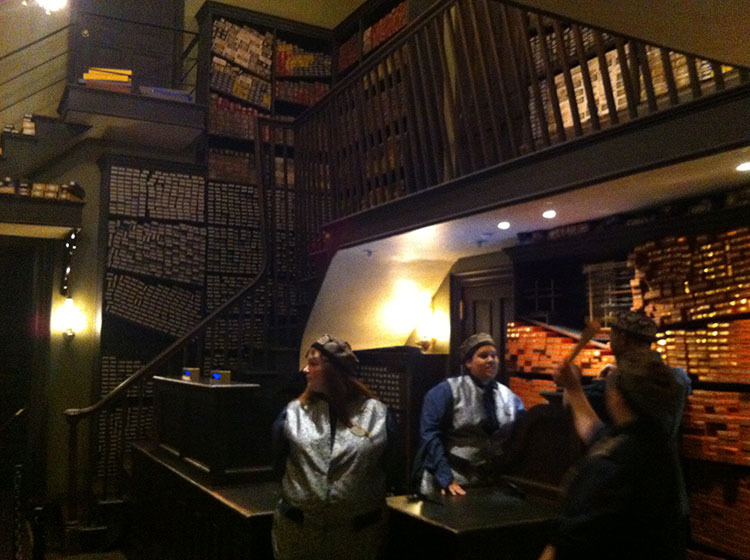 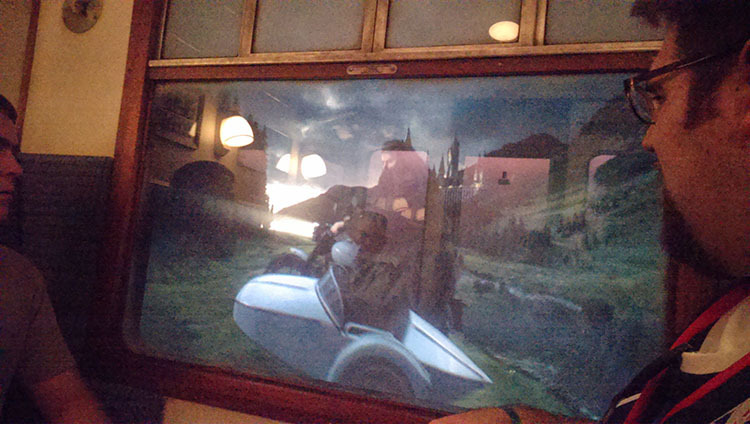 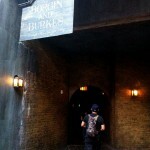 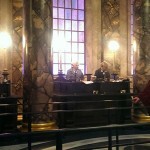 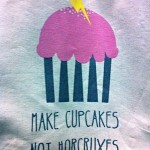 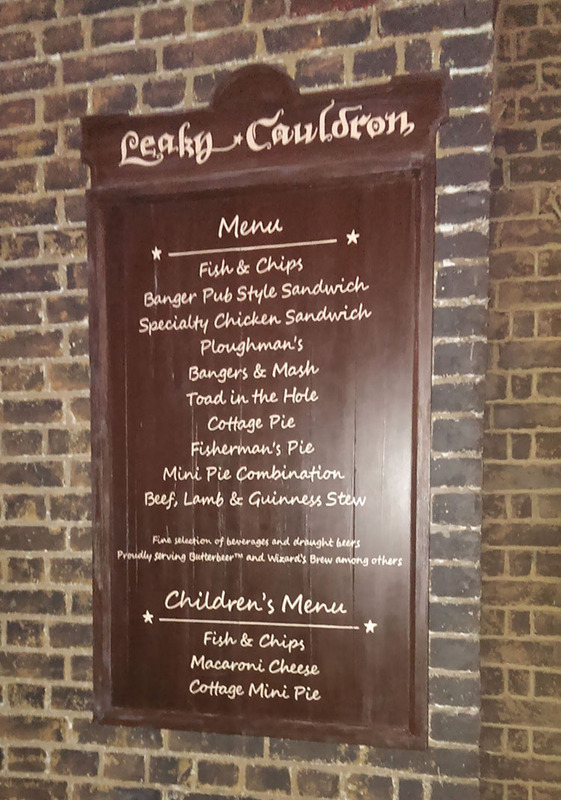 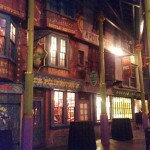 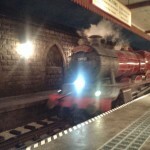 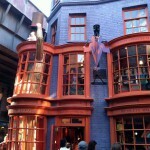 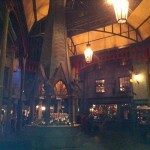 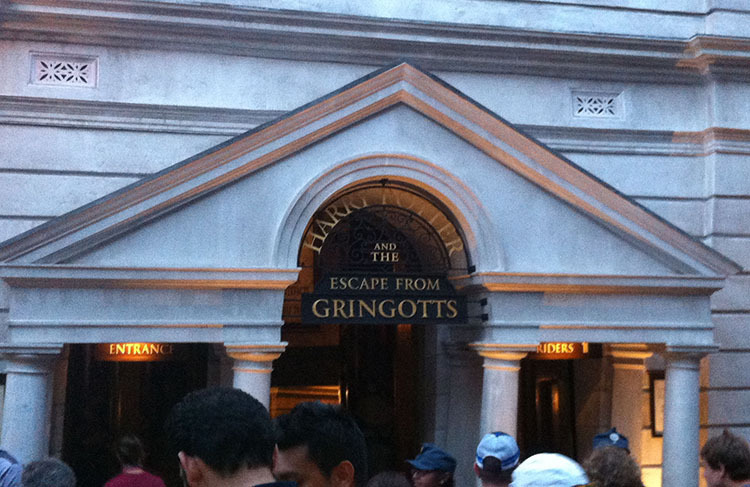 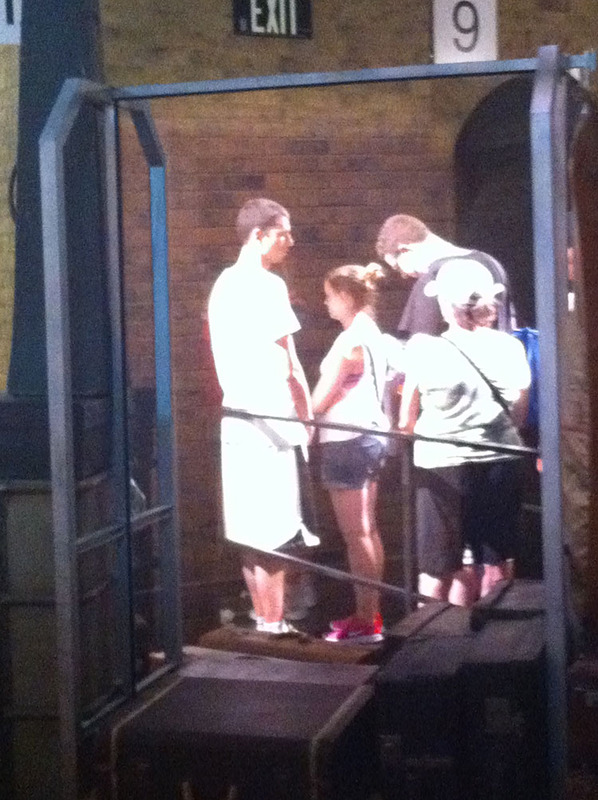 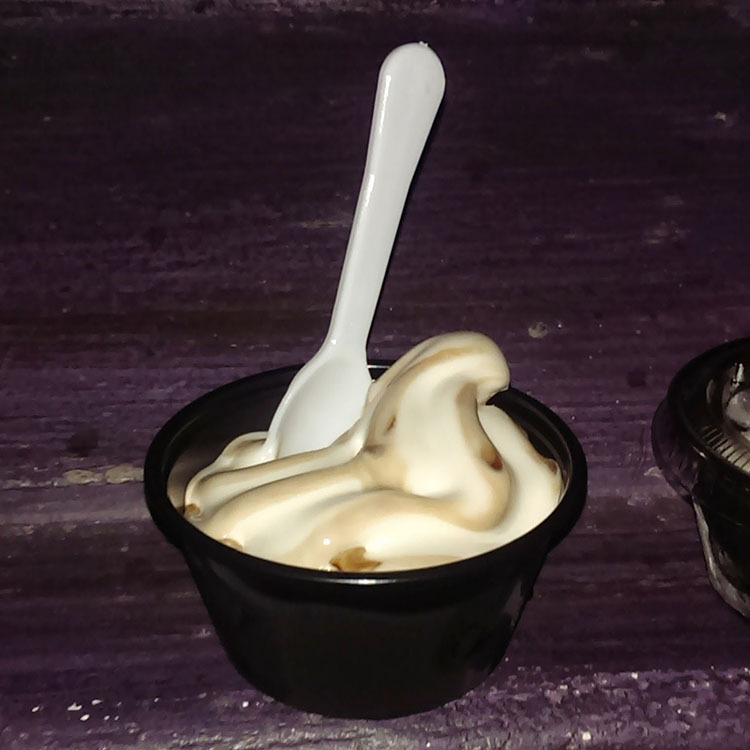 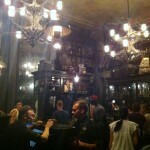 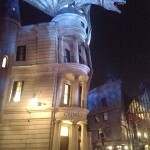 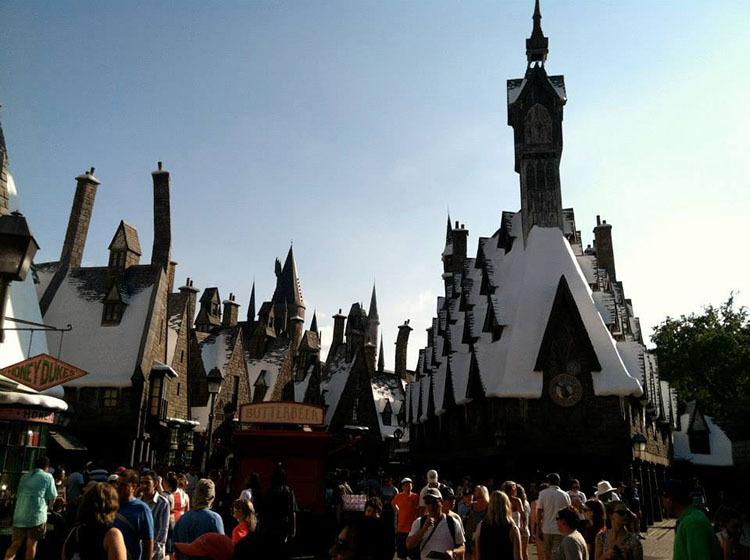 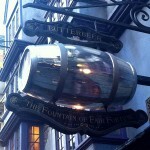 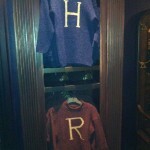 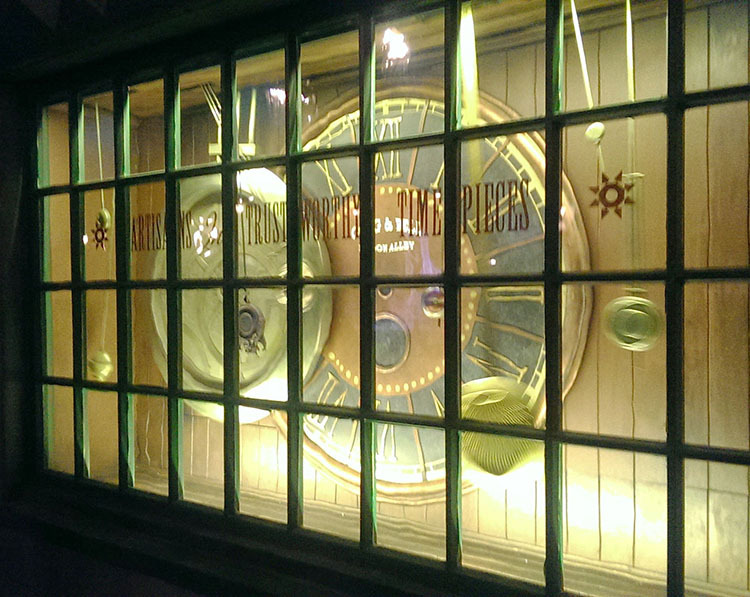 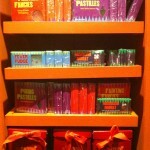 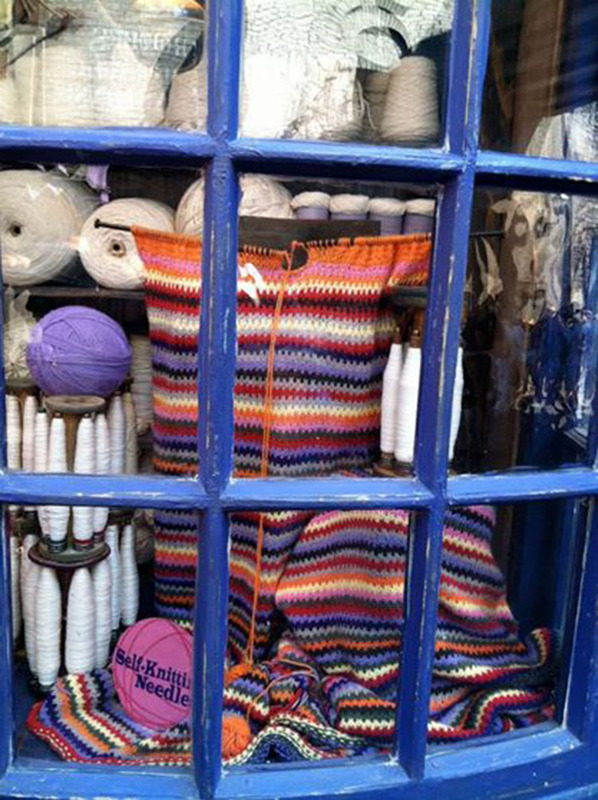 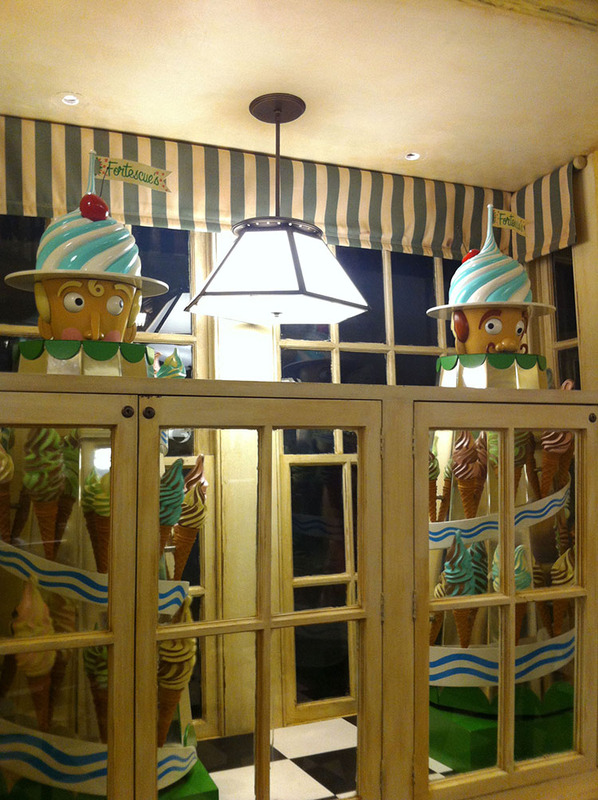 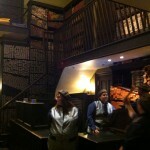 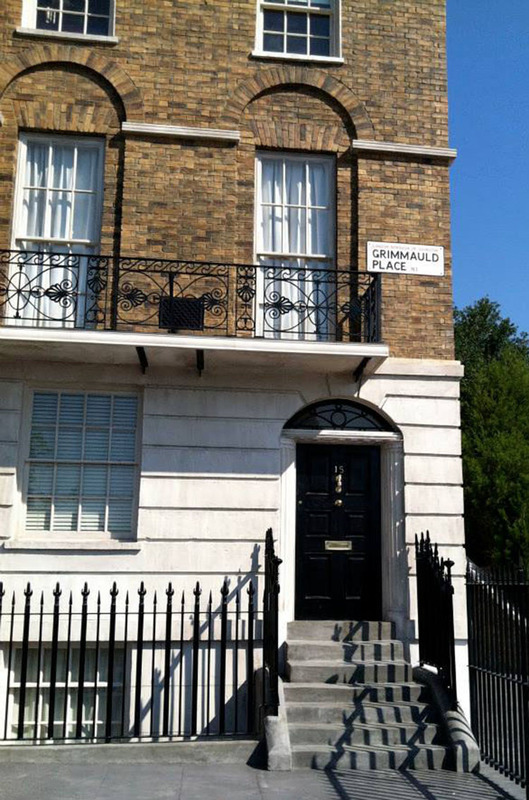 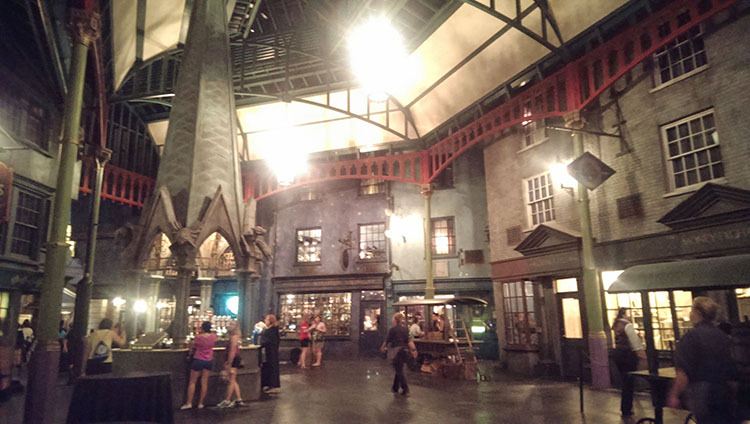 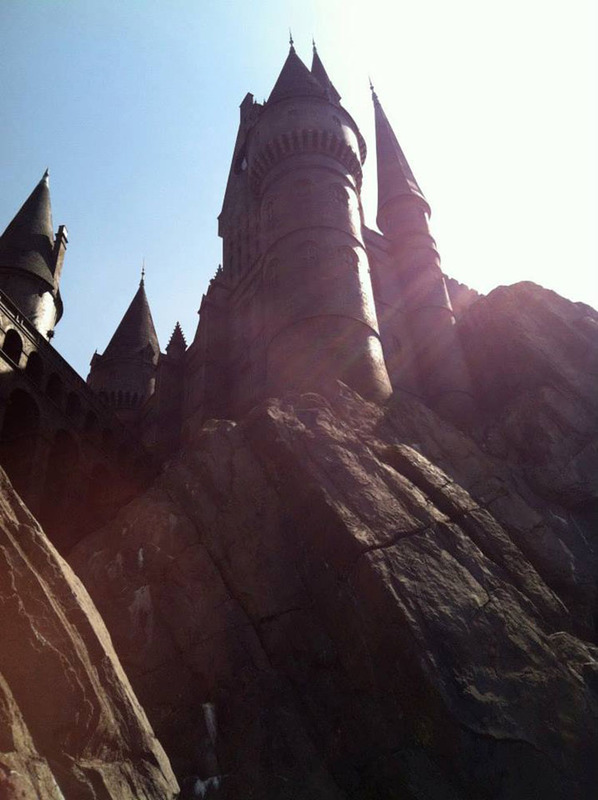 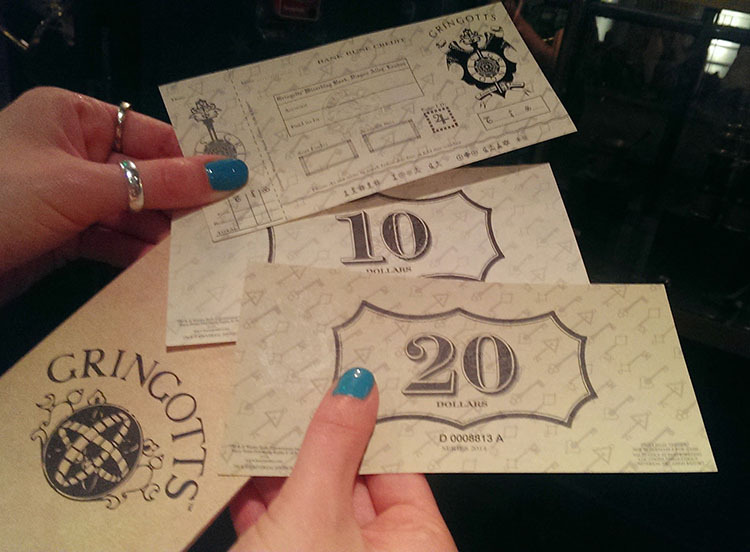 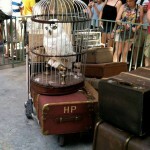 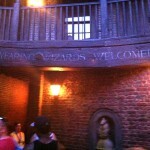 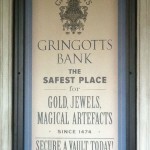 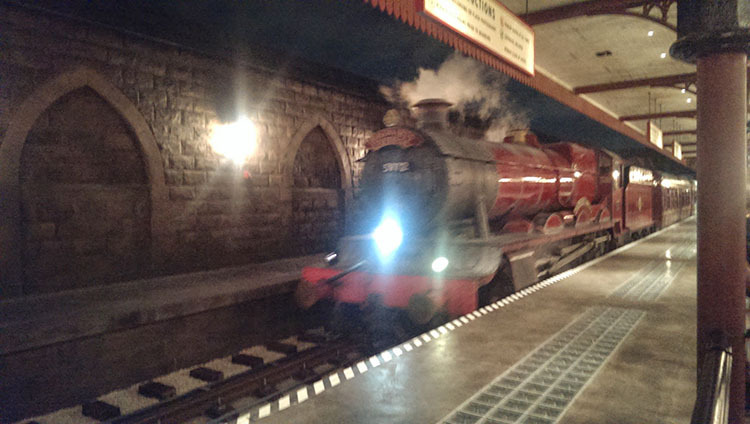 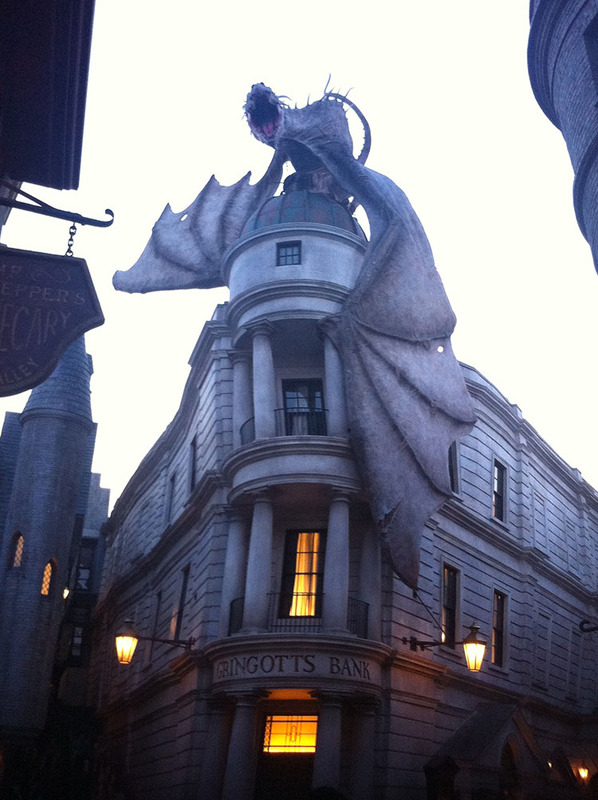 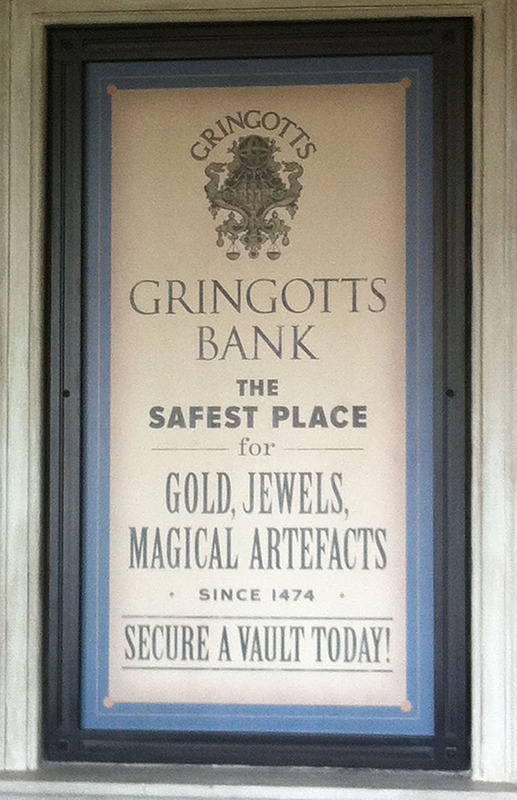 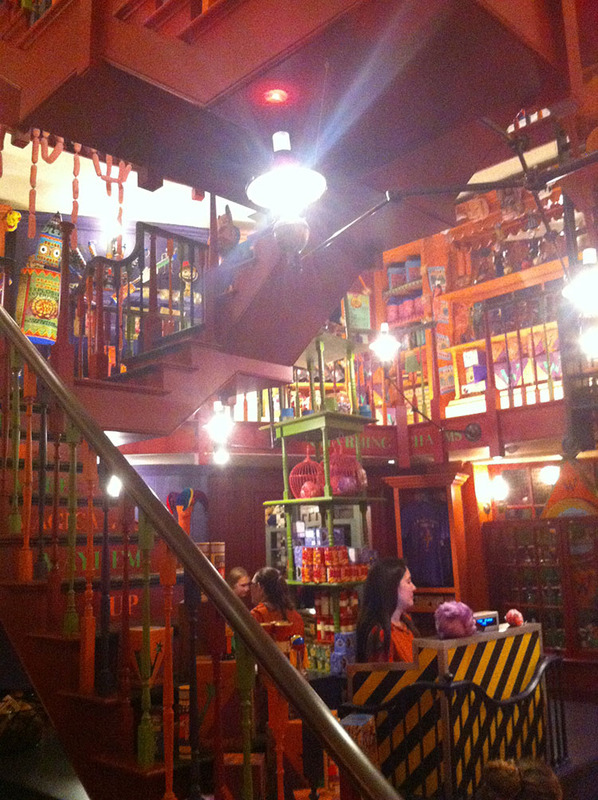 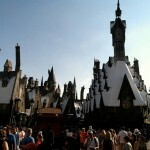 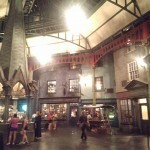 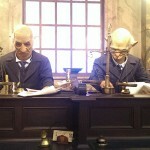 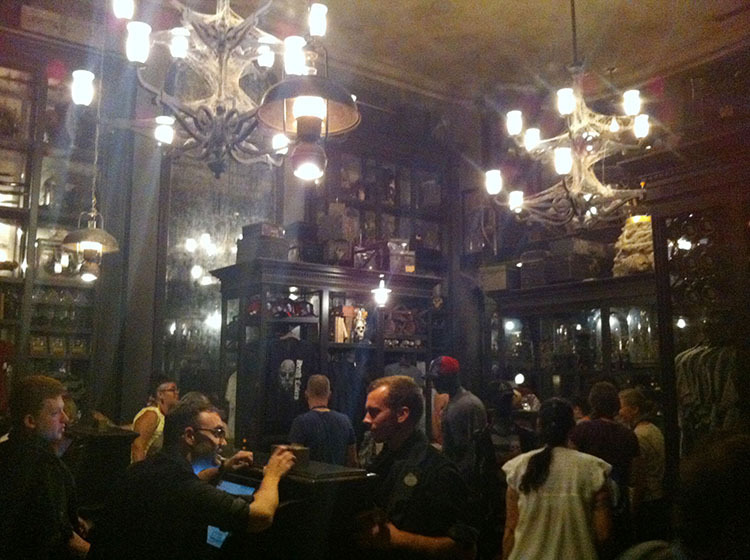 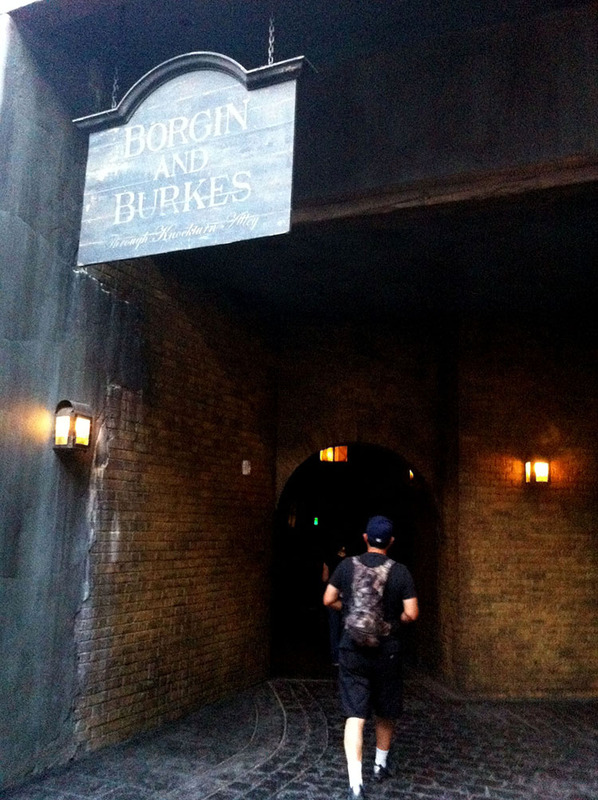 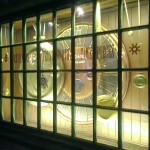 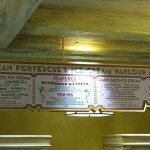 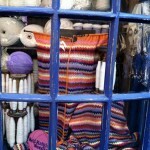 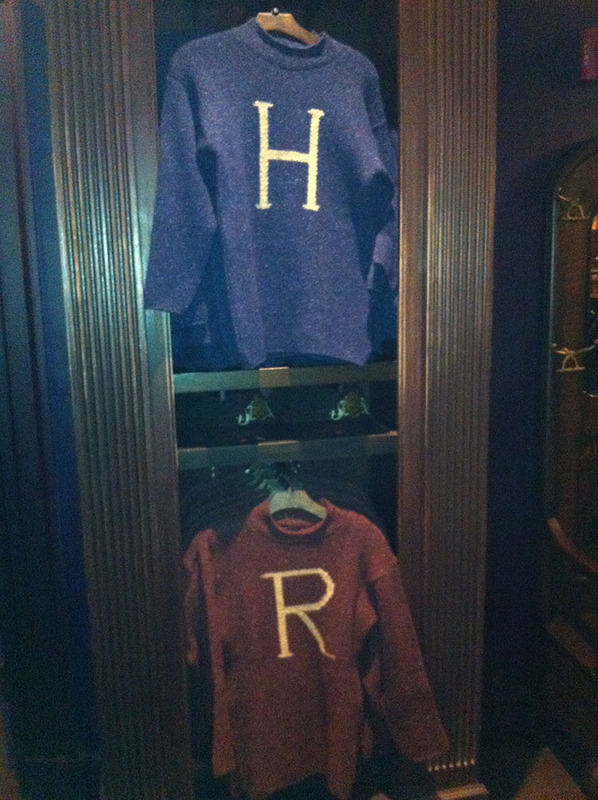 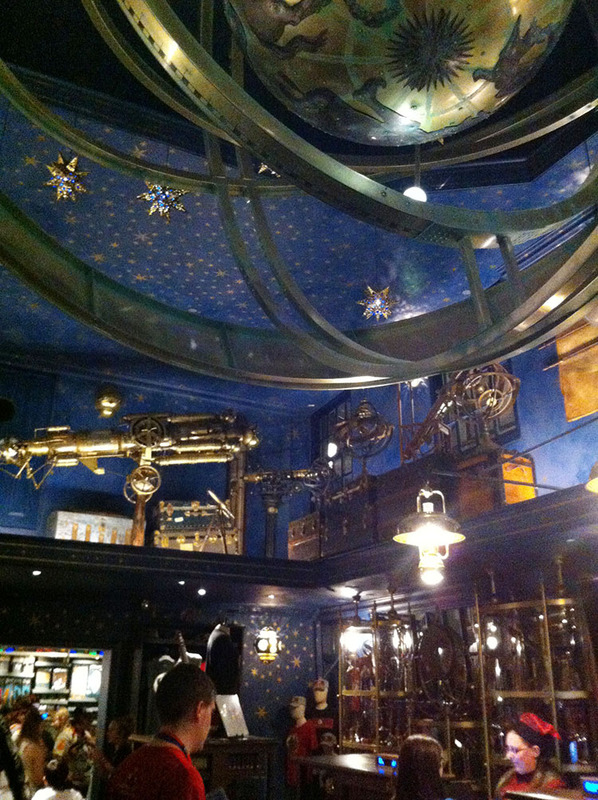 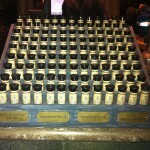 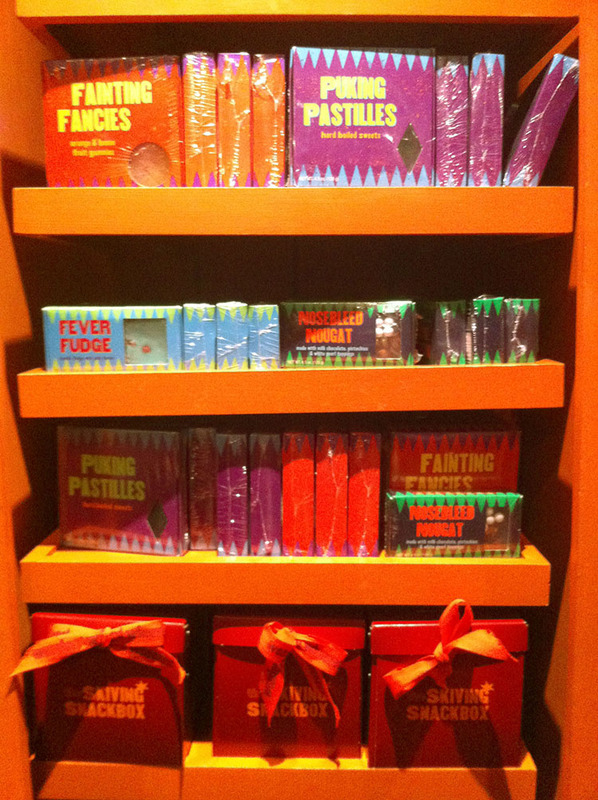 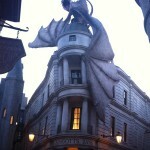 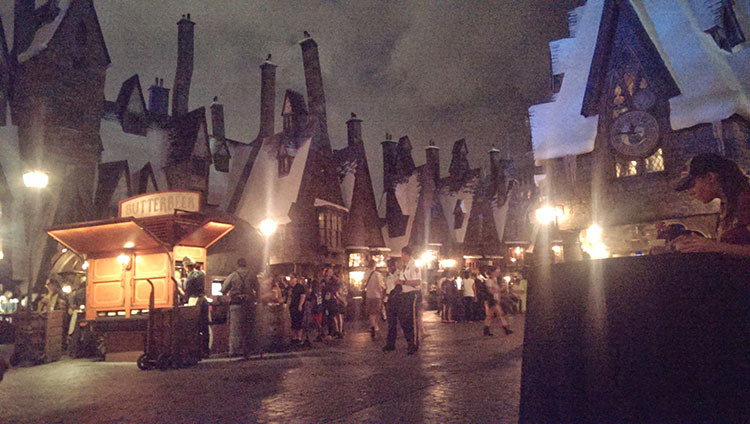 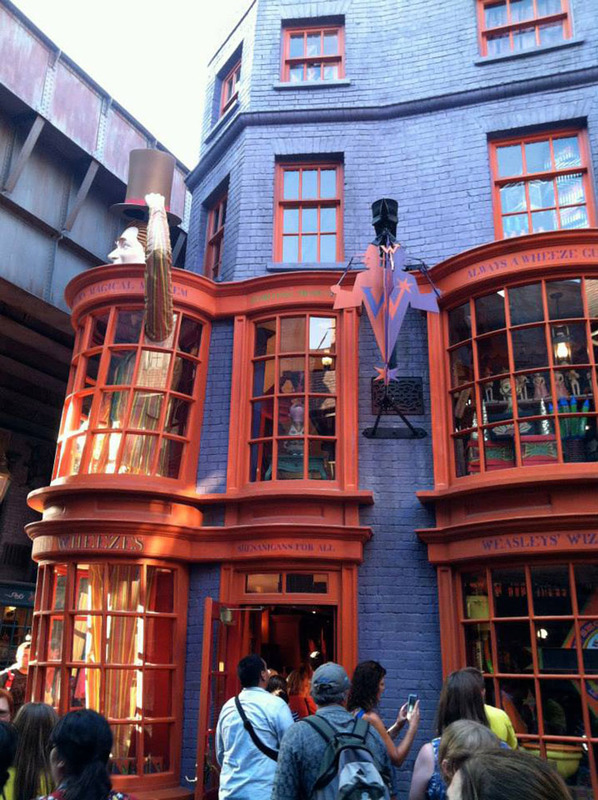 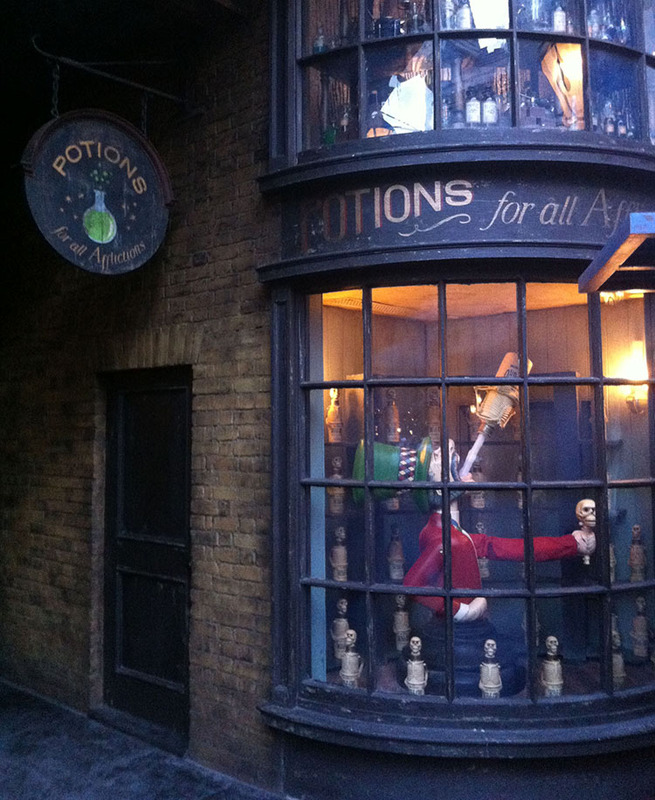 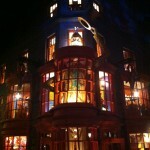 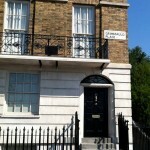 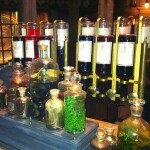 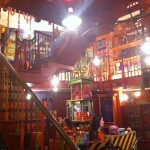 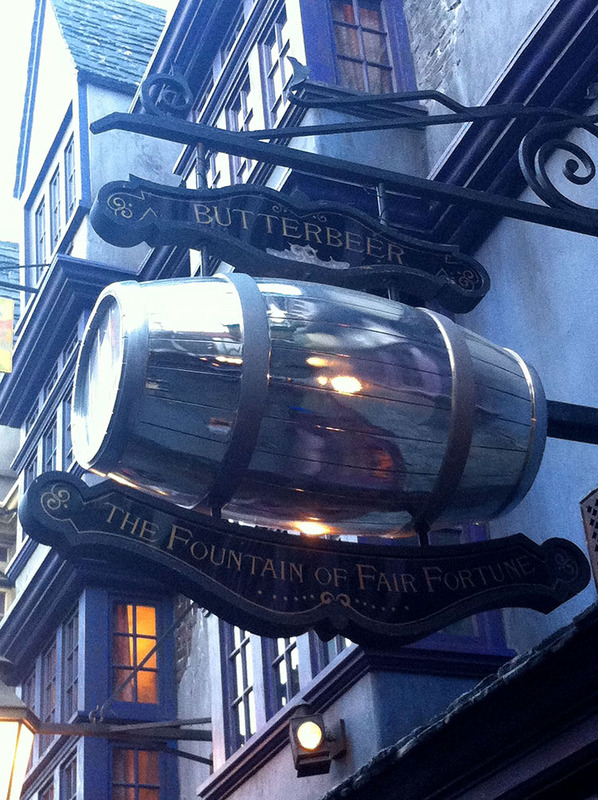 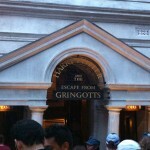 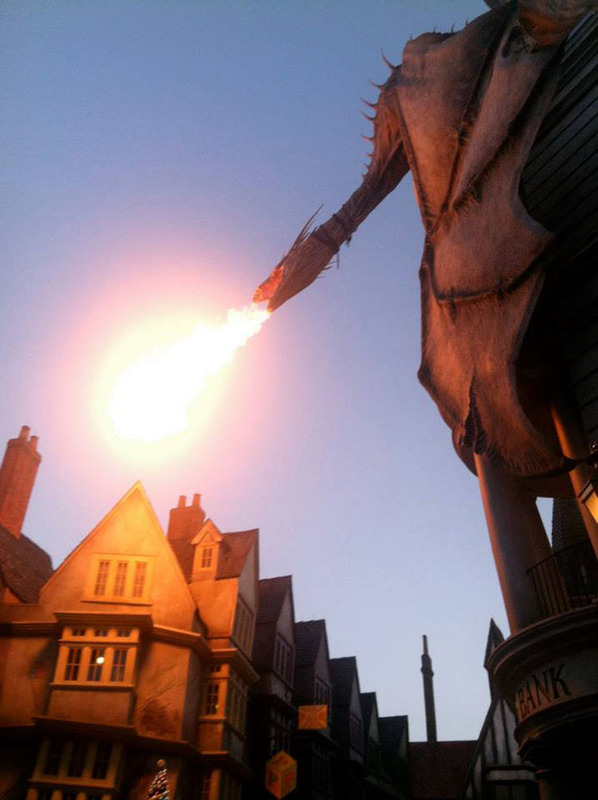 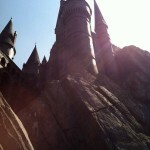 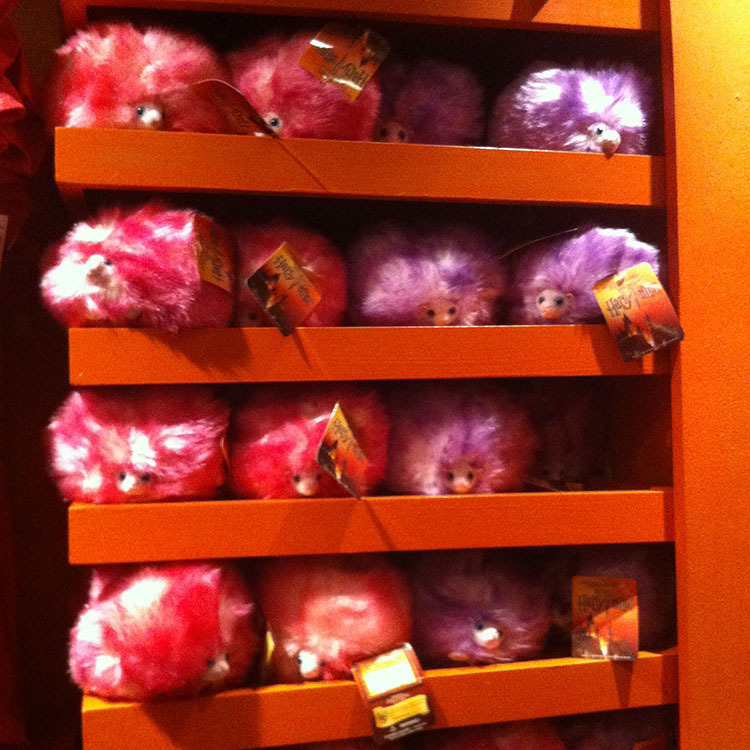 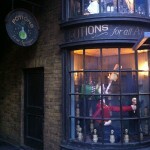 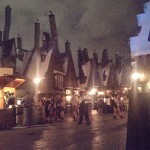 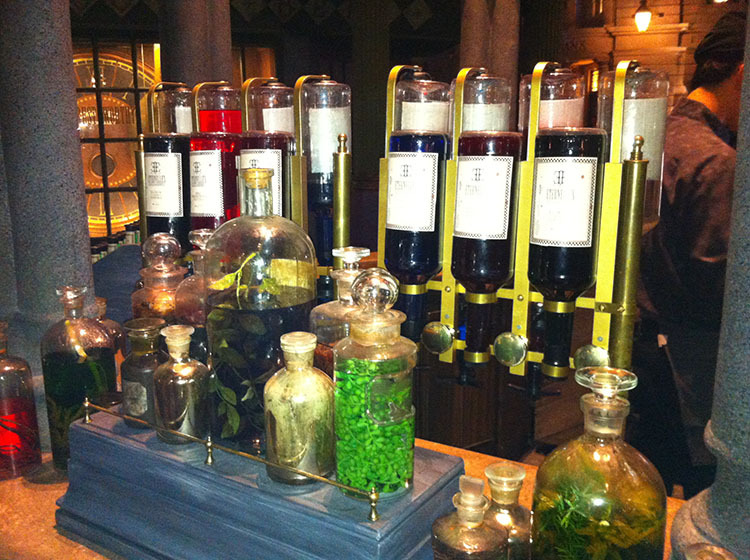 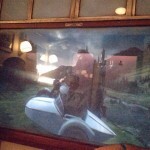 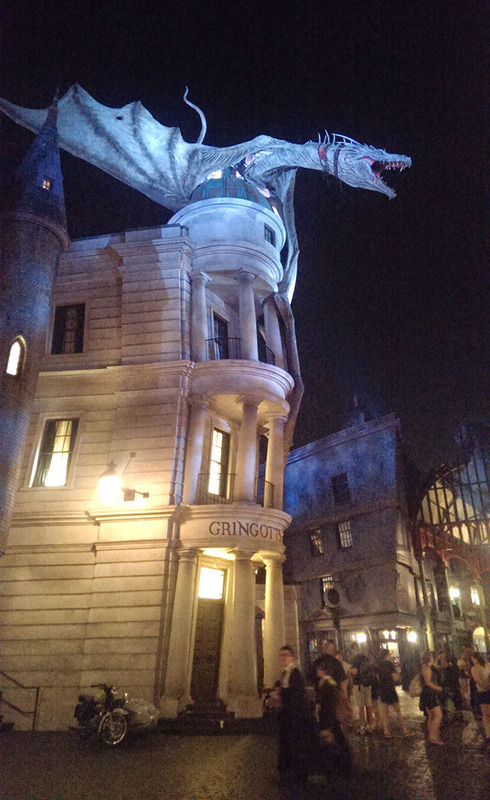 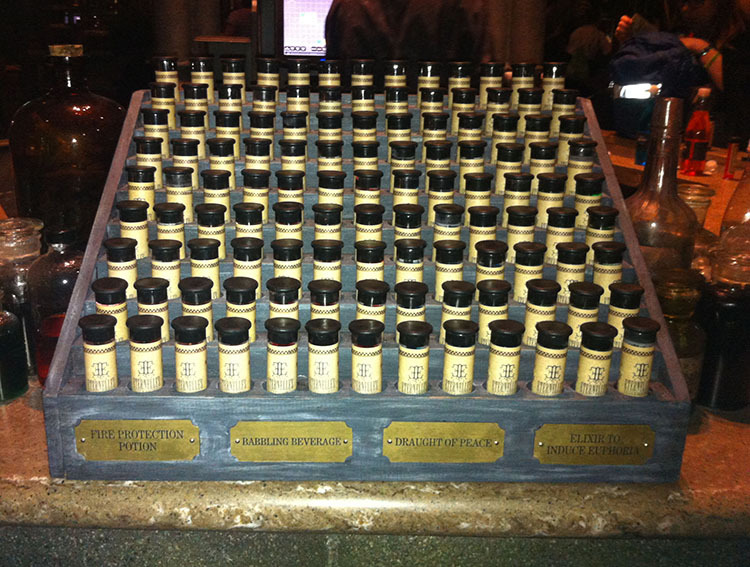 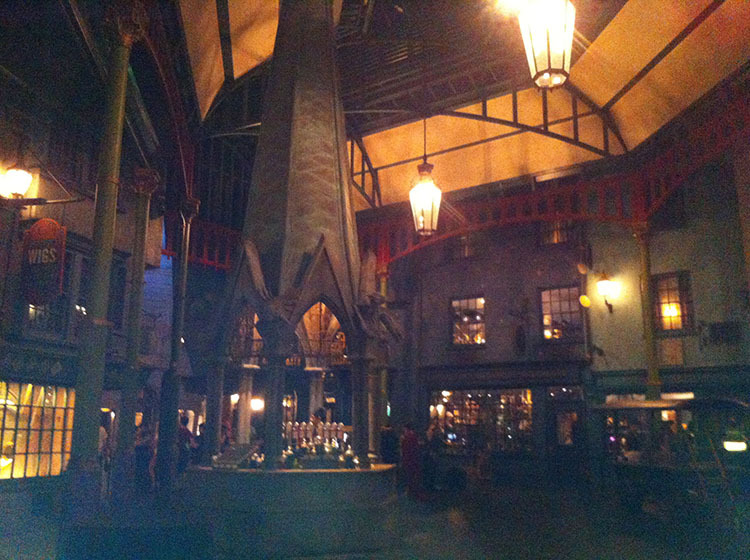 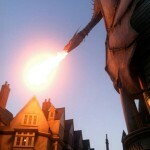 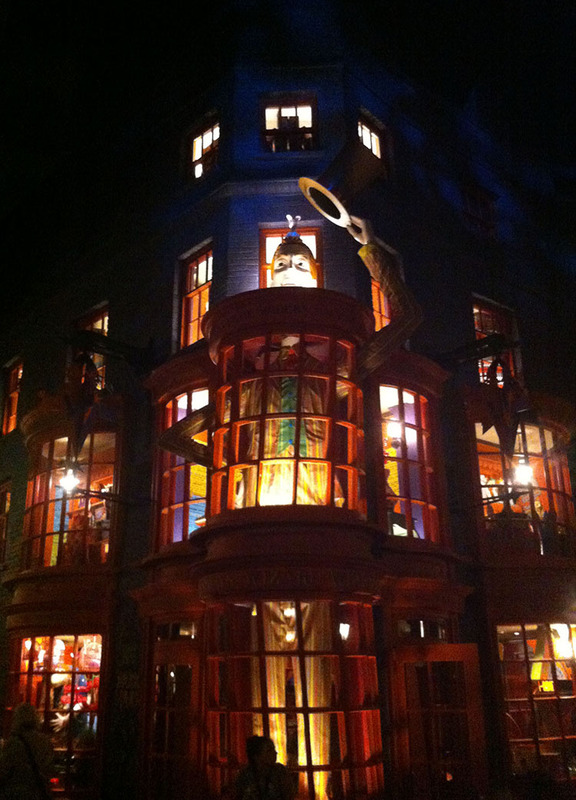 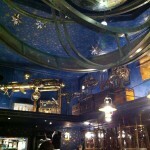 See the pics below from our adventures in Diagon Alley and Hogsmeade during those witching hours. 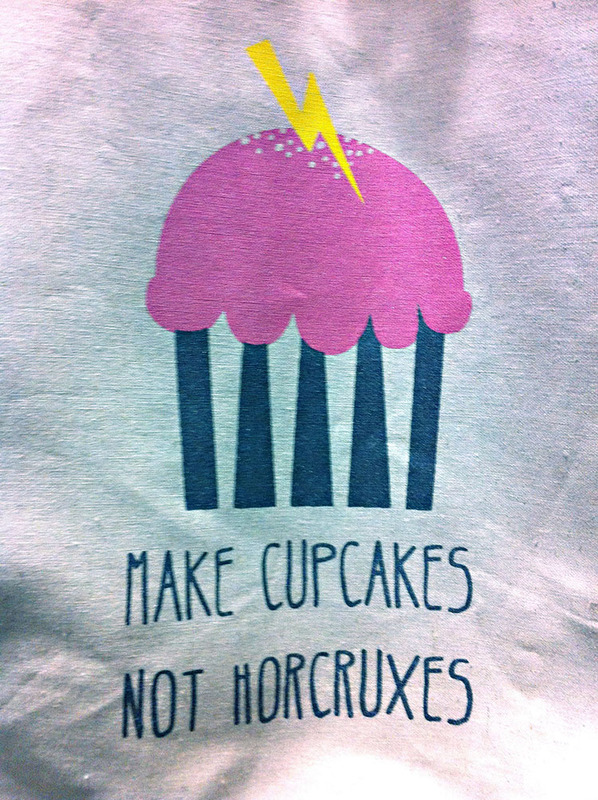 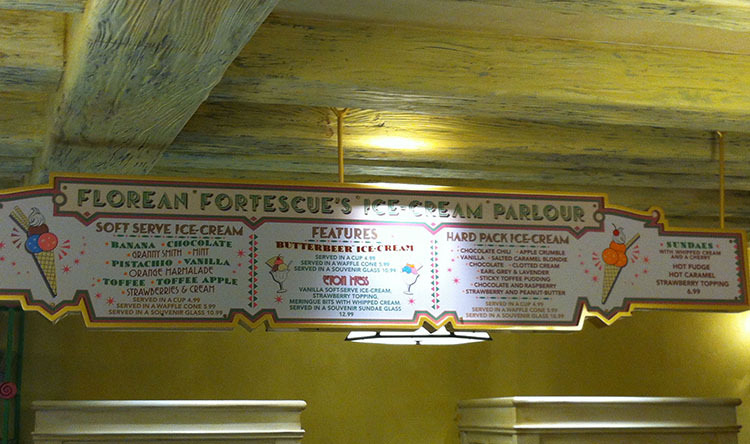 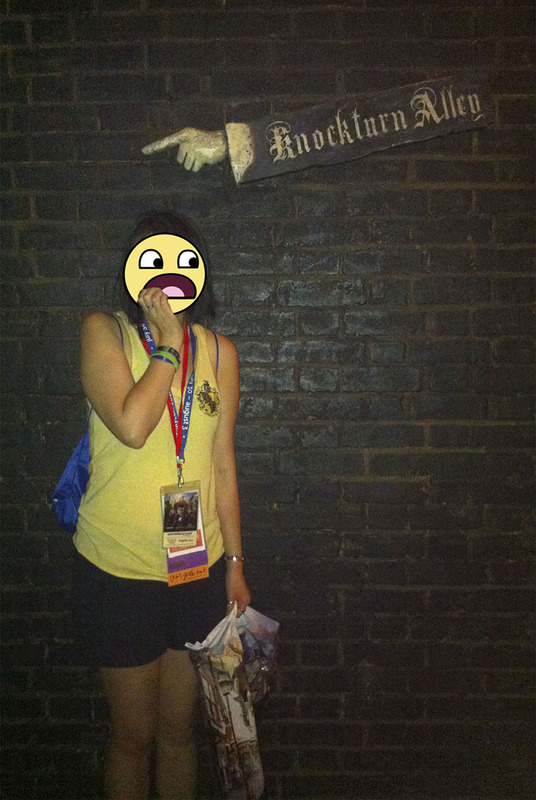 Then come back tomorrow for even more LeakyCon 2014 coverage! 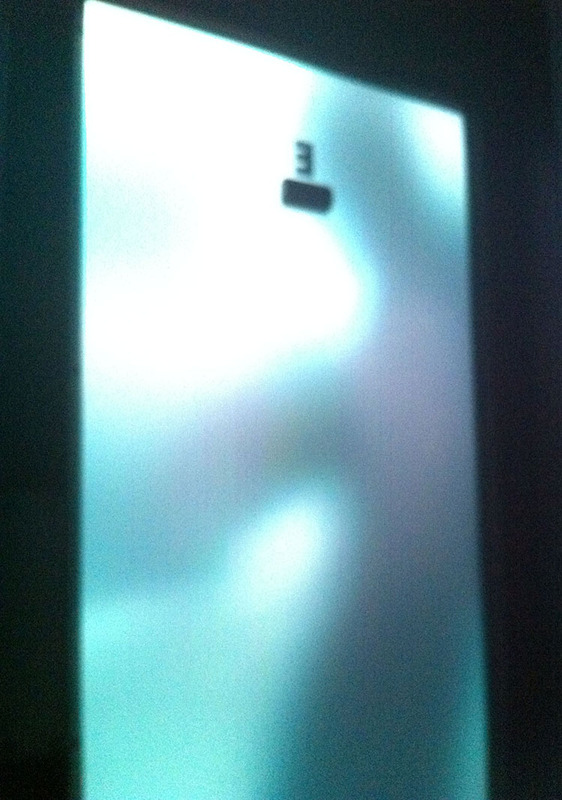 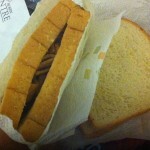 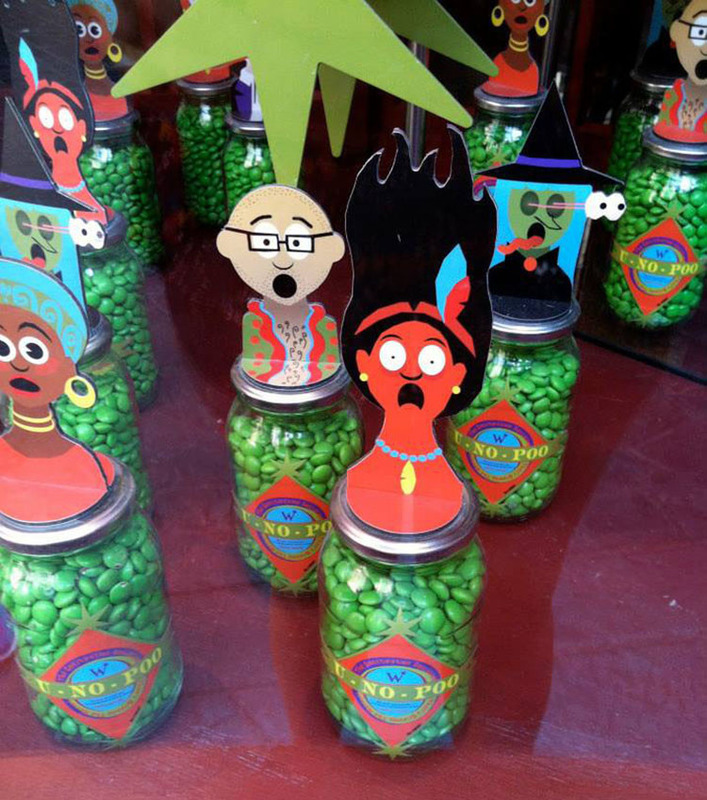 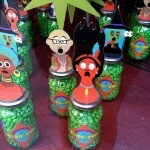 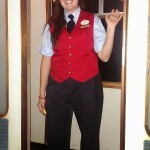 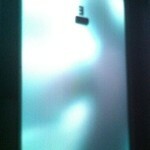 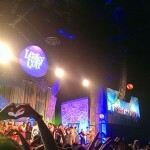 Thanks to our friend, Carly, for contributing photos! 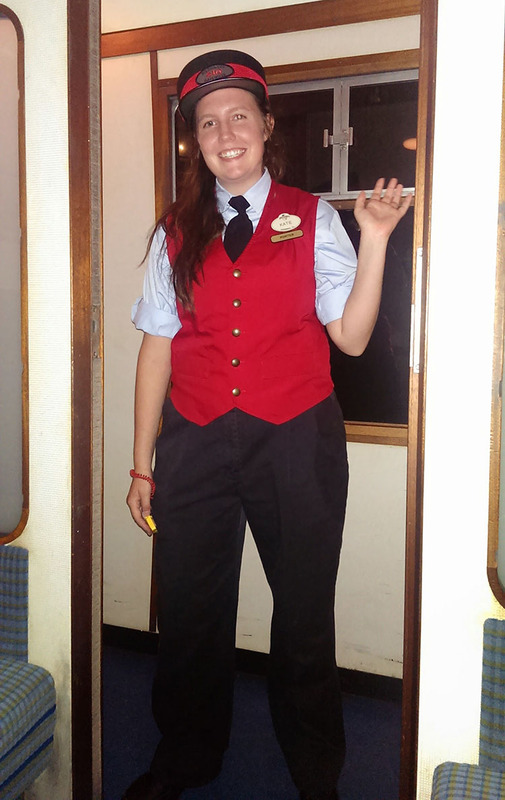 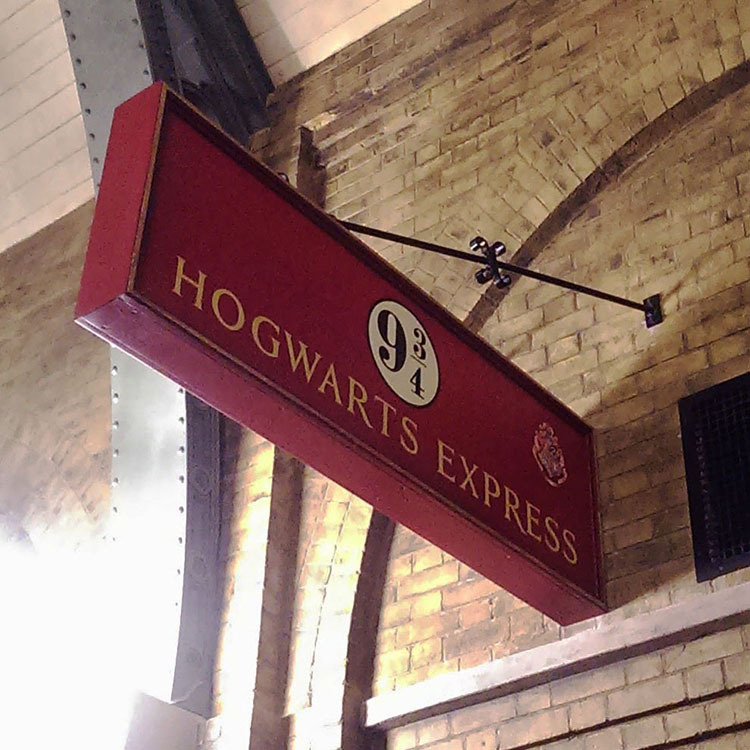 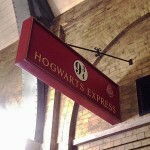 A couple weeks ago, we boarded the Hogwarts Express and hung out with a bunch of wizards — drank butterbeer at the Three Broomsticks, shopped at Diagon Alley, danced the night away at a ball, speculated about Dumbledore’s private life, and debated the moral fiber (or lack thereof) of Snape. 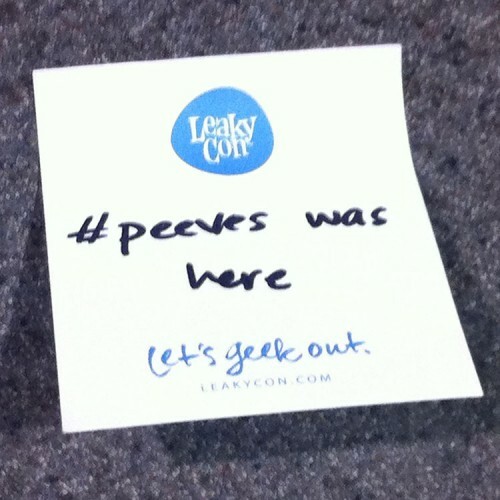 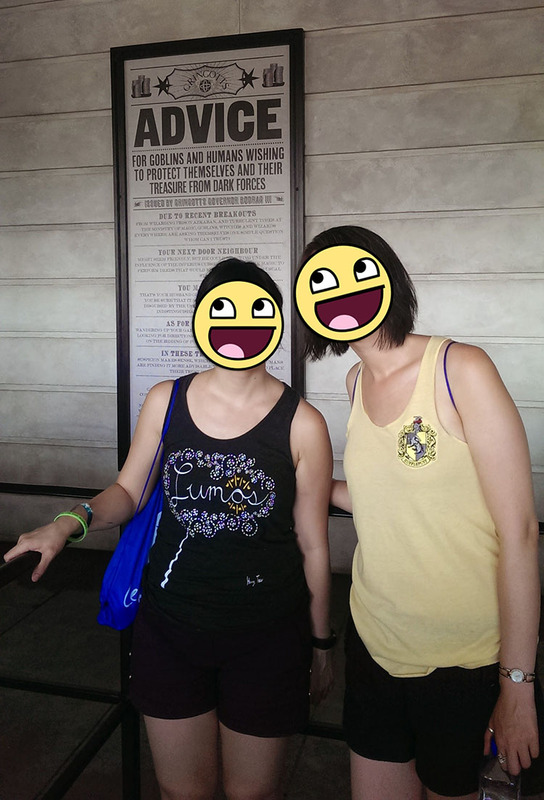 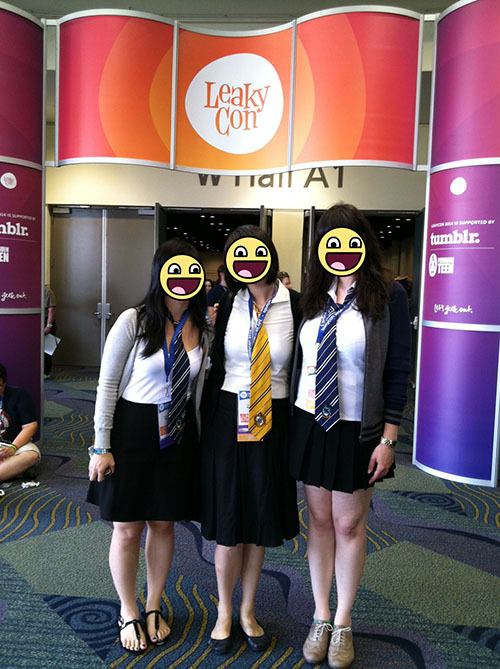 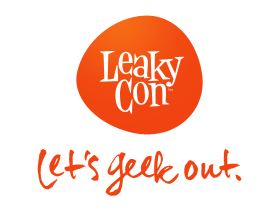 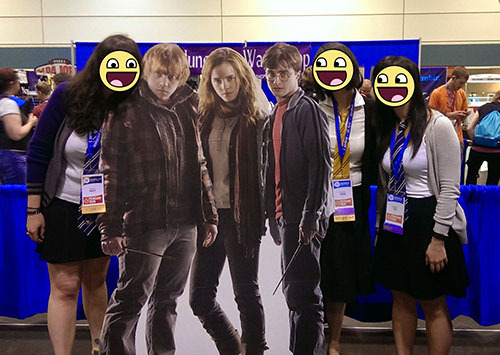 In other words, we went to LeakyCon 2014! 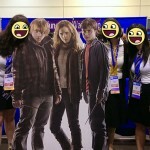 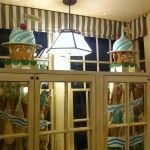 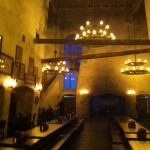 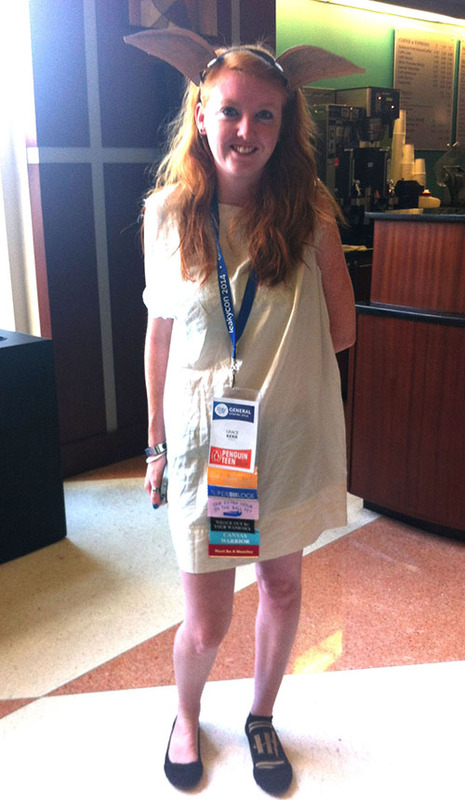 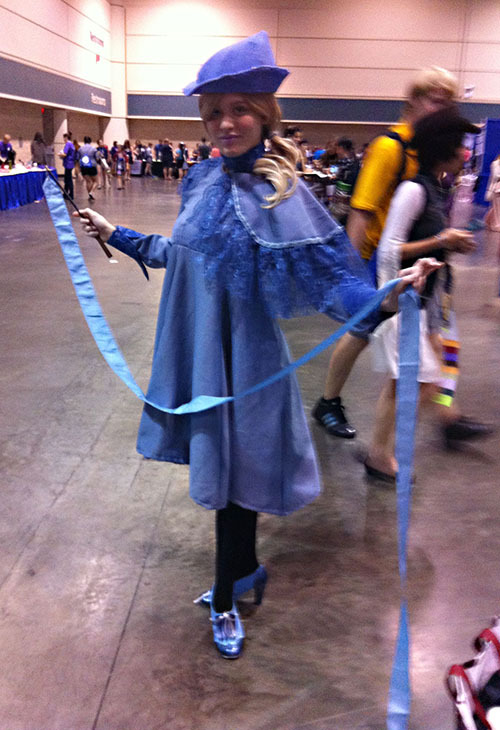 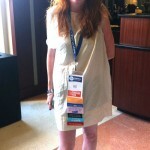 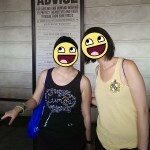 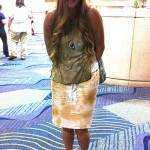 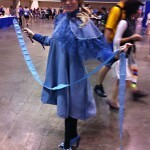 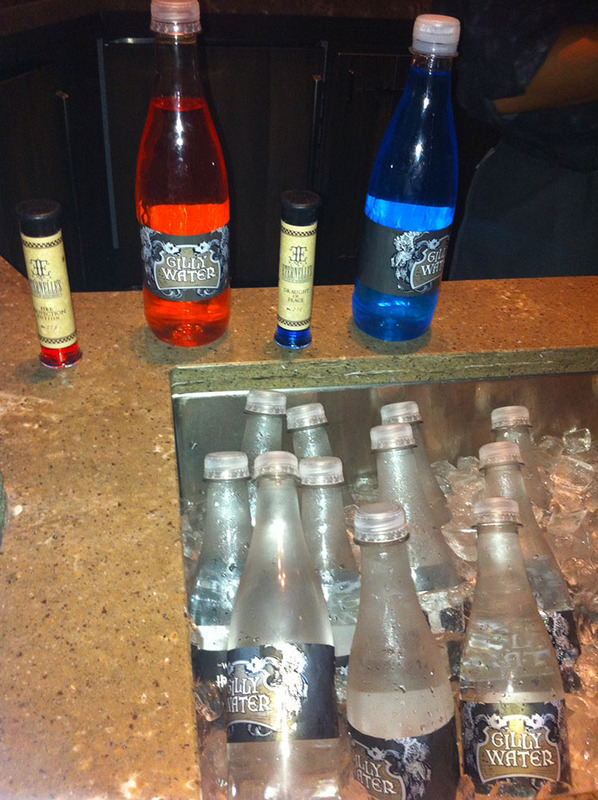 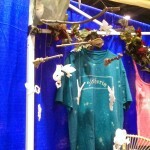 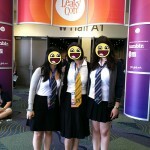 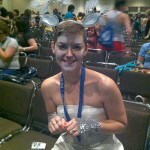 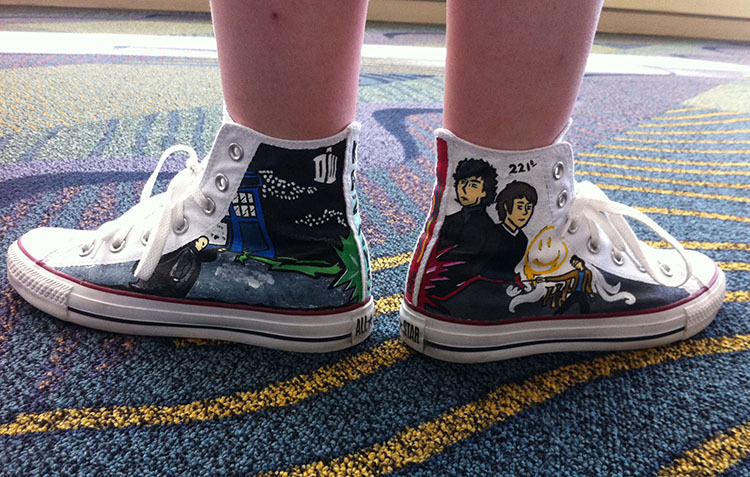 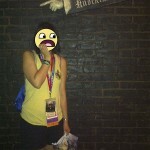 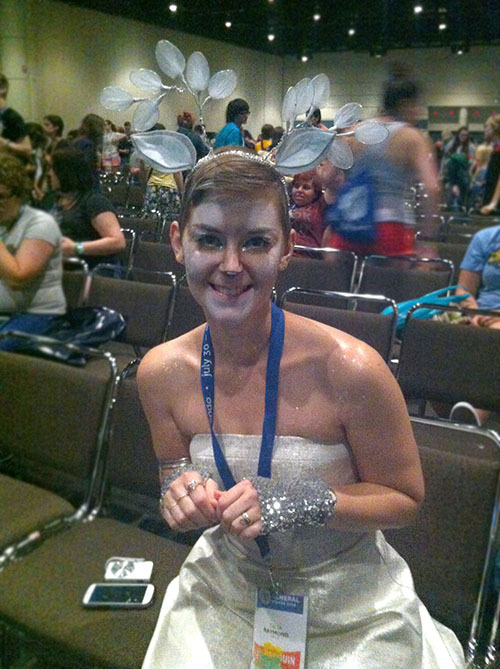 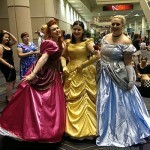 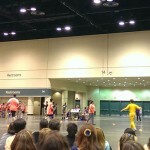 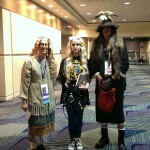 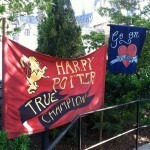 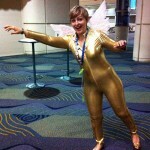 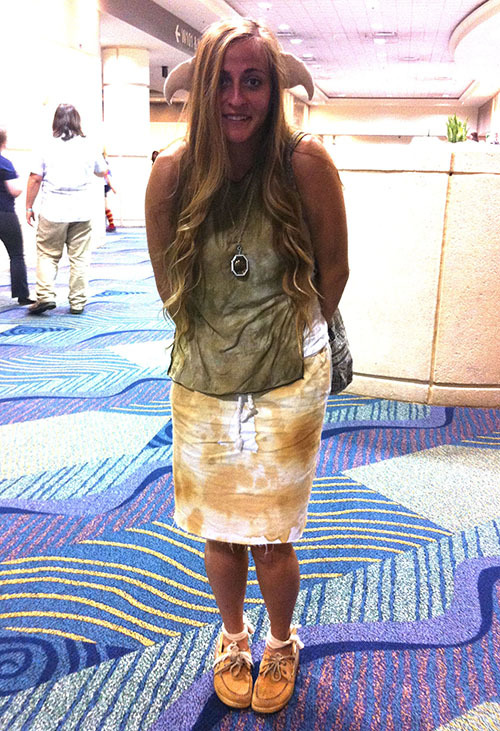 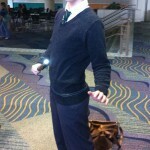 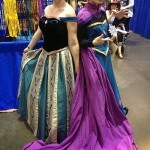 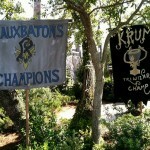 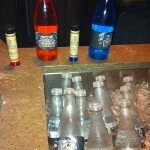 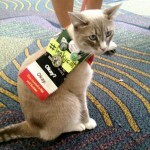 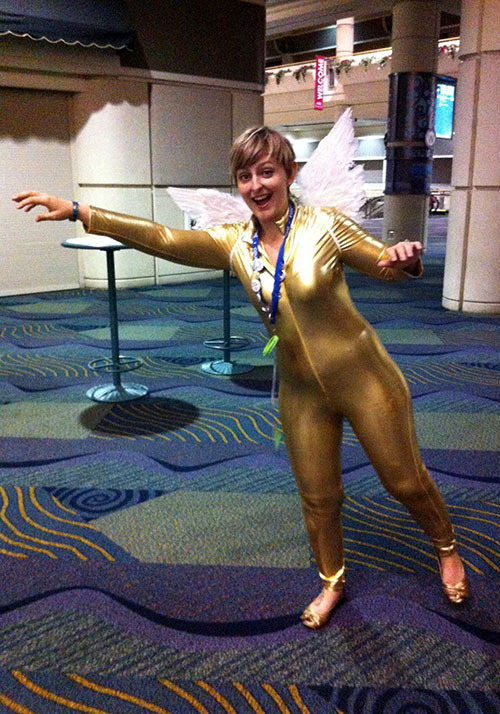 You may recall that three years ago, we went to LeakyCon 2011. 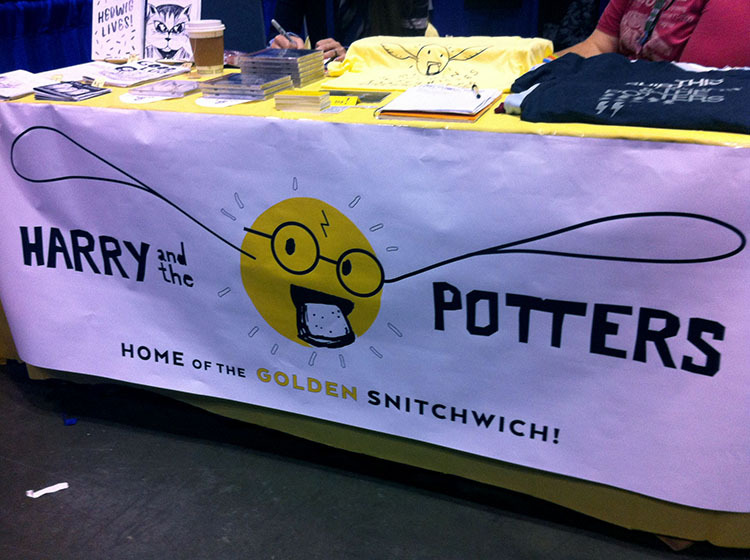 Well, since then, the annual Harry Potter fan convention has grown to be a totally massive geekathon, with almost 5000 attendees over five days. 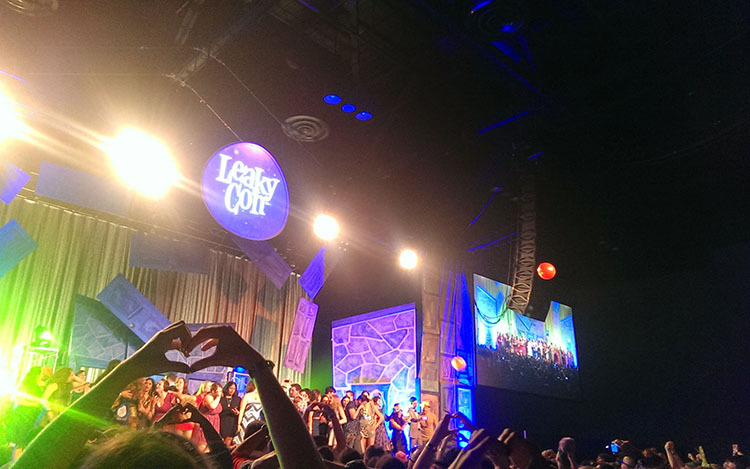 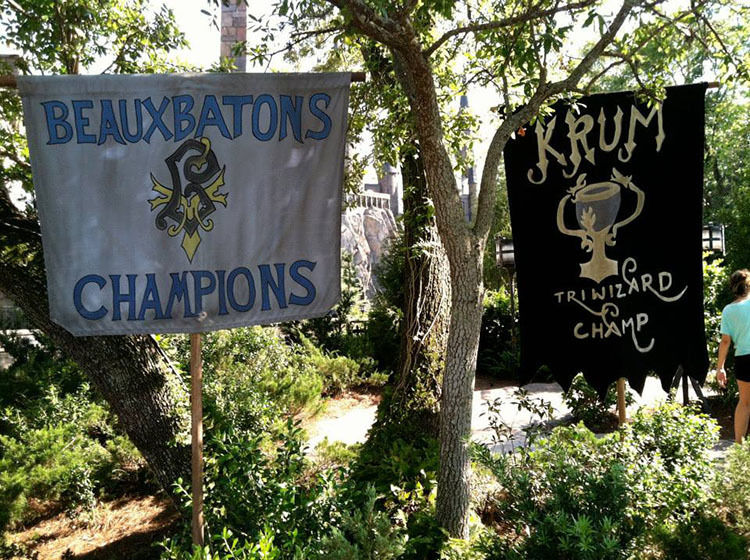 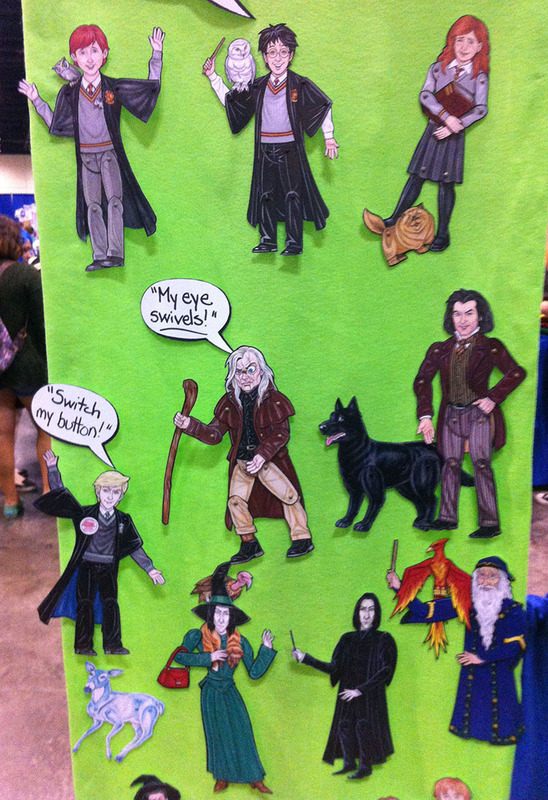 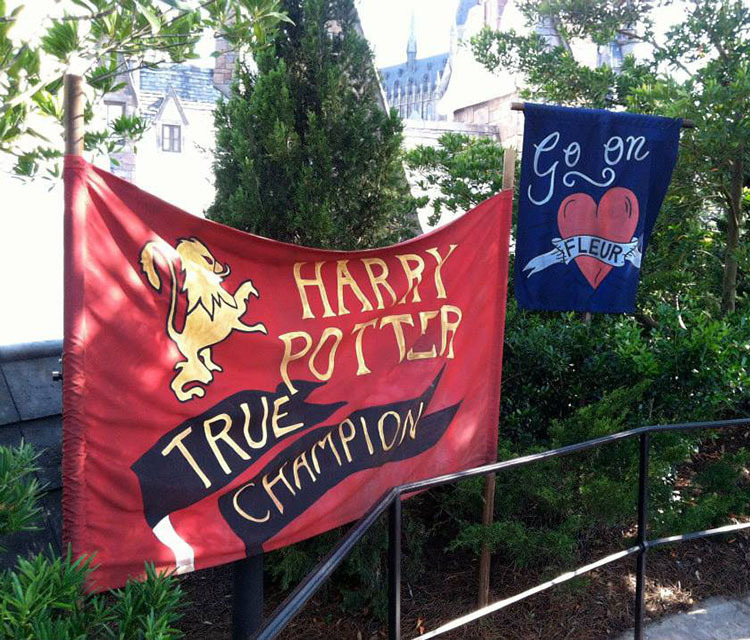 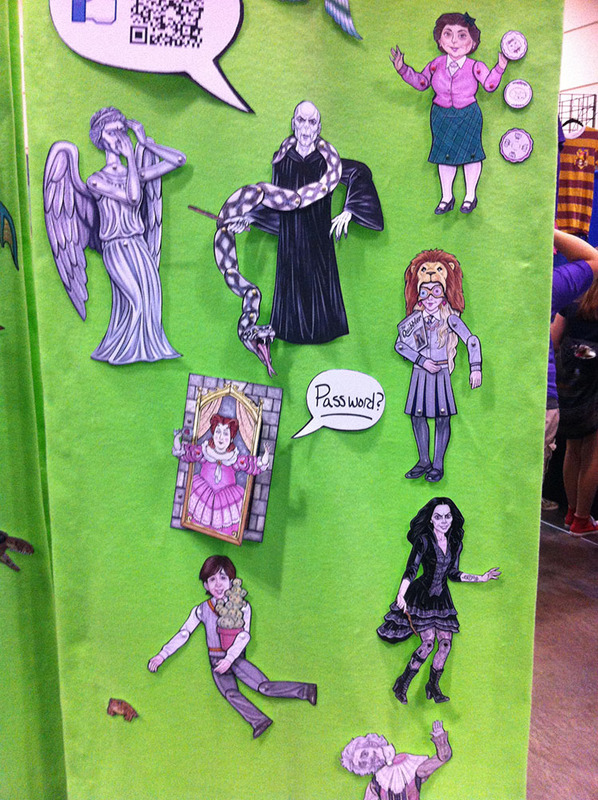 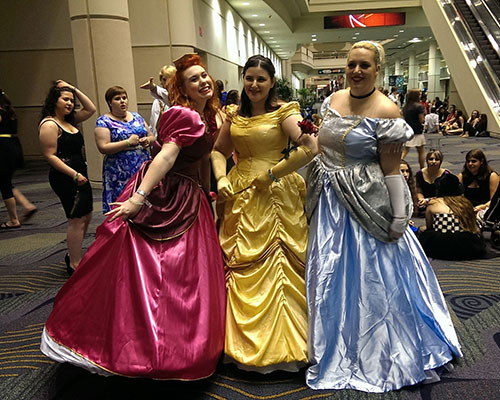 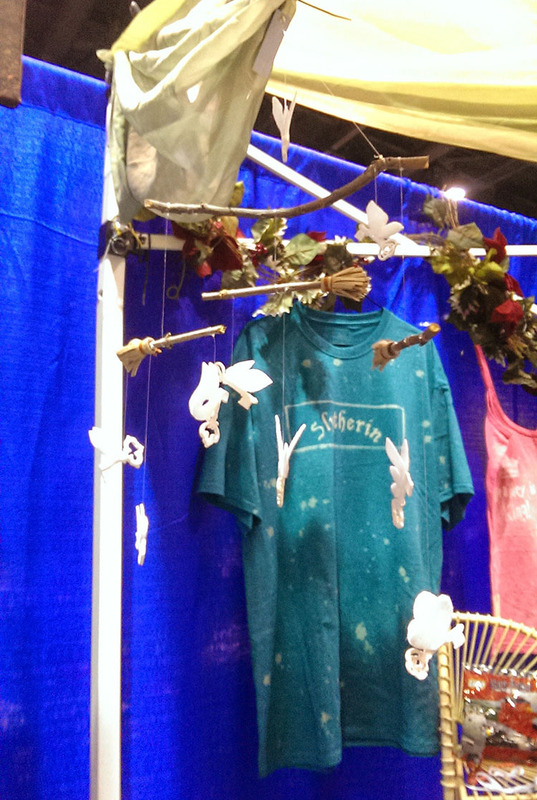 Check ’em out in our gallery below, and then tune in tomorrow and Sunday for even more LeakyCon 2014 coverage! 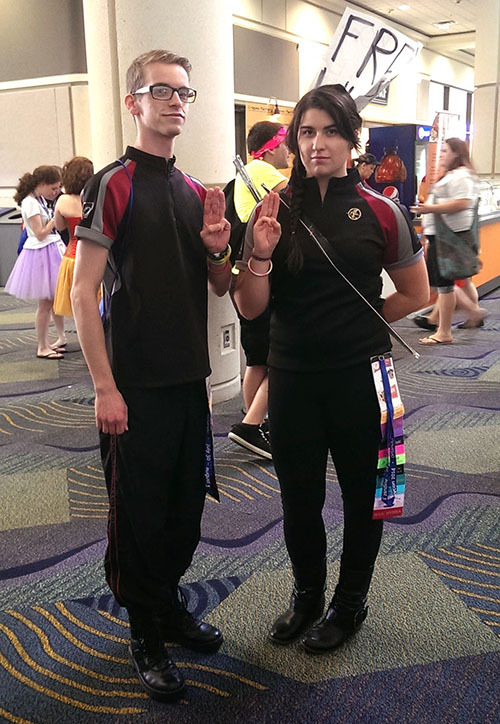 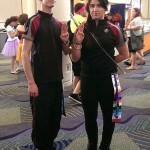 Tributes Katniss and Peeta from District 12 stopped by. 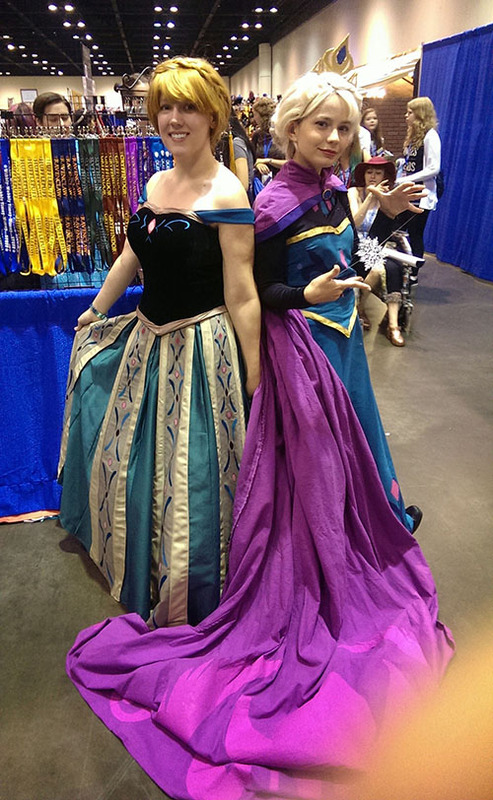 Even Anna and Elsa from Frozen made an appearance! 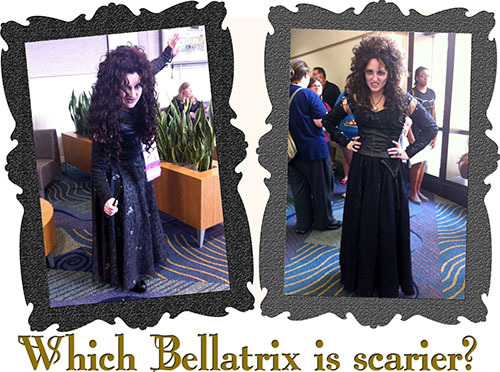 Leave a comment and tell us which Bellatrix you prefer — or just which of these costumes is your favorite!